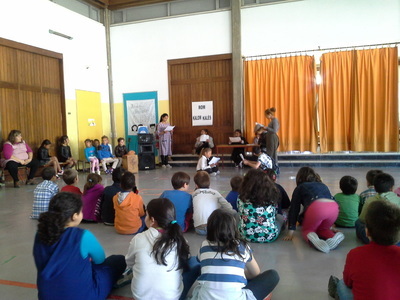 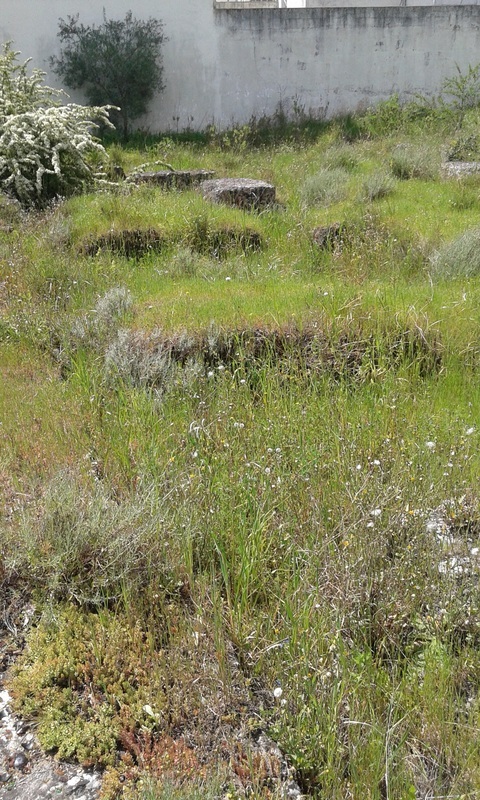 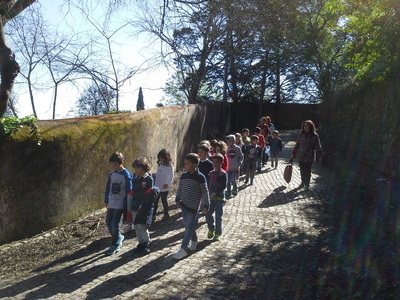 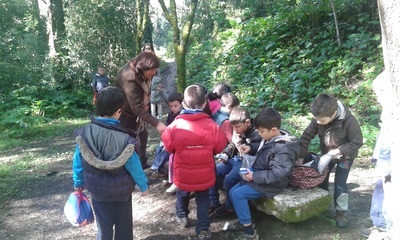 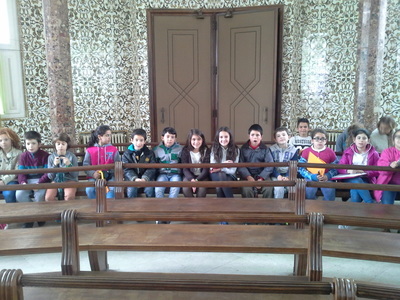 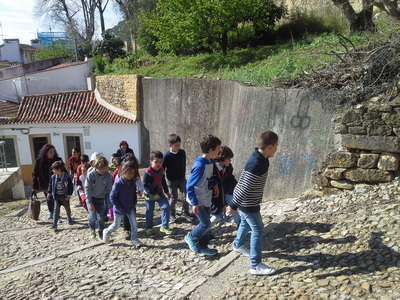 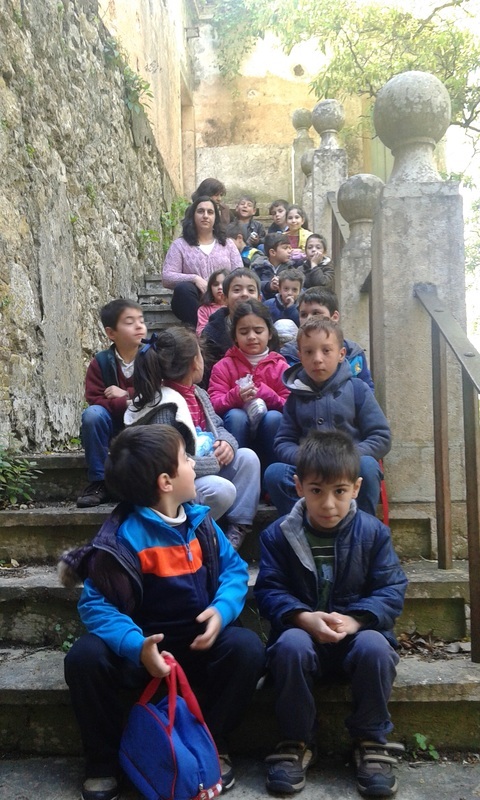 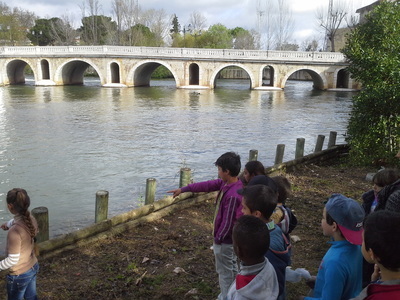 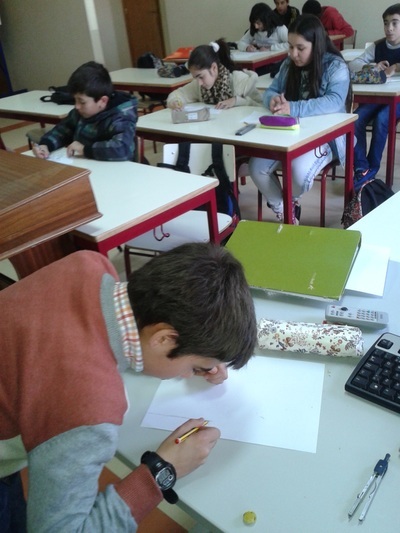 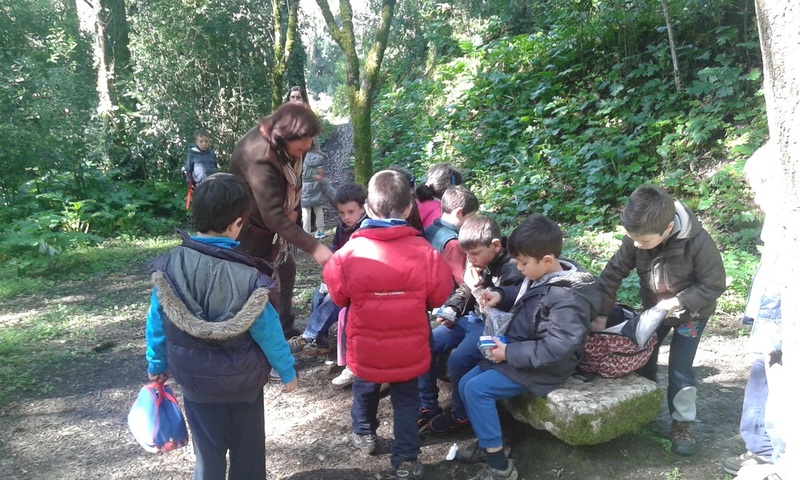 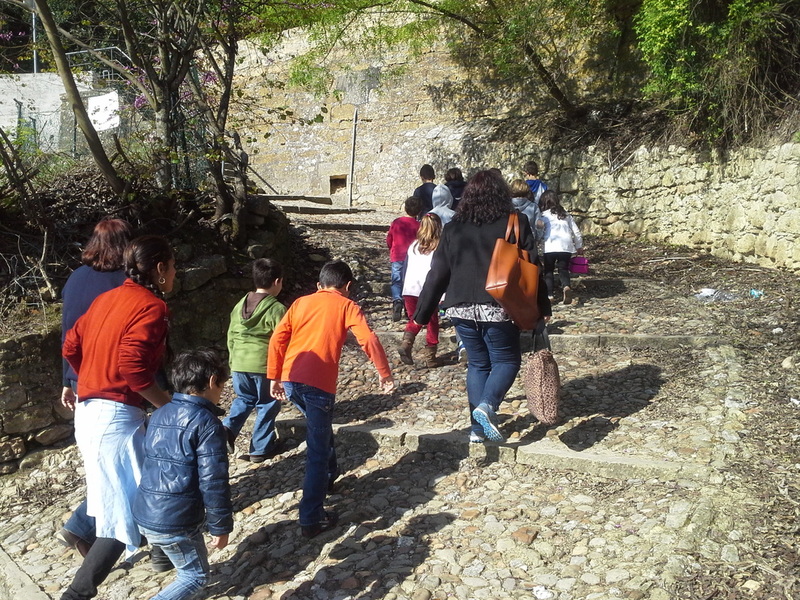 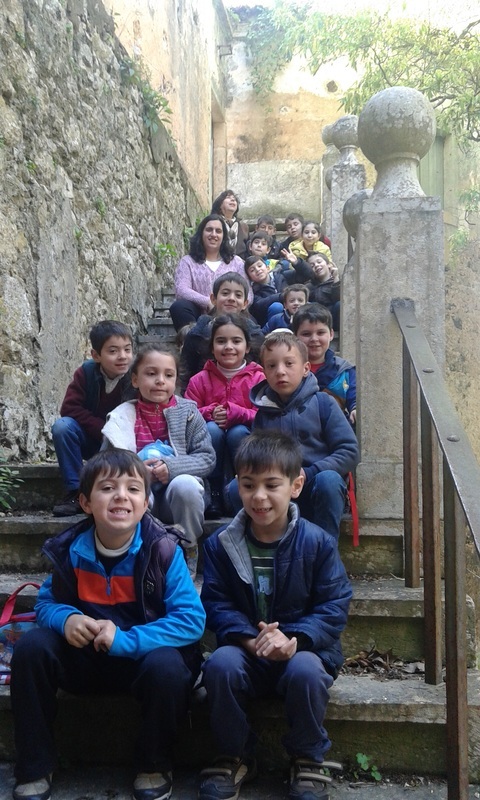 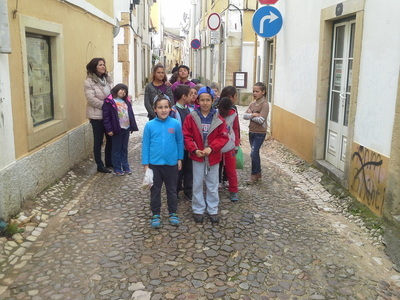 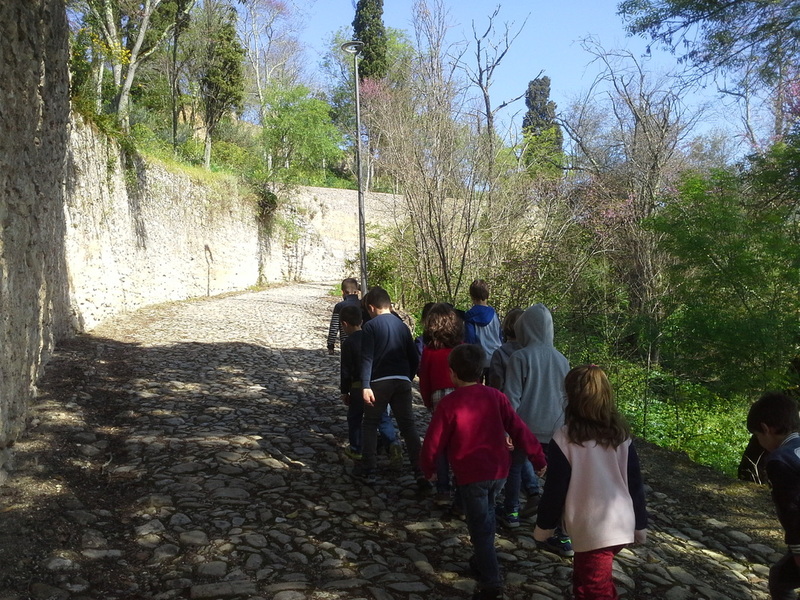 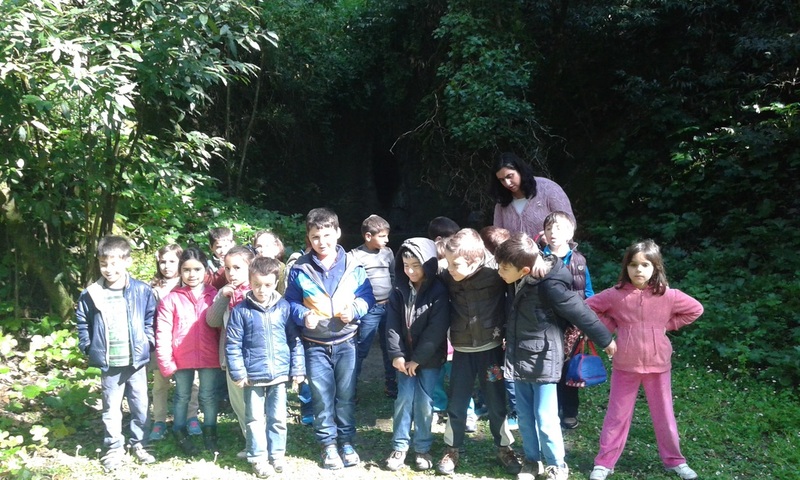 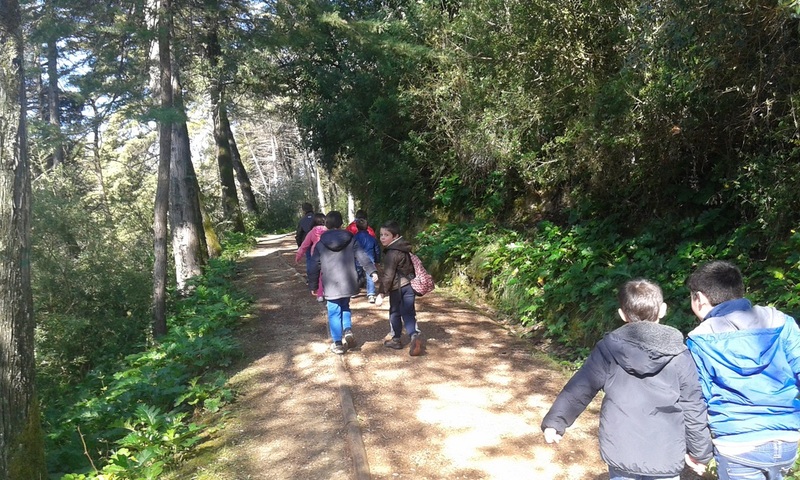 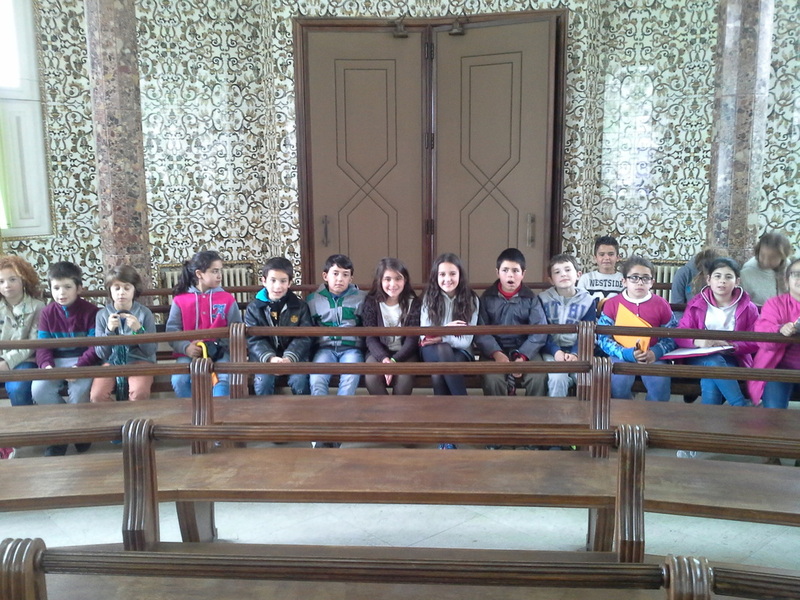 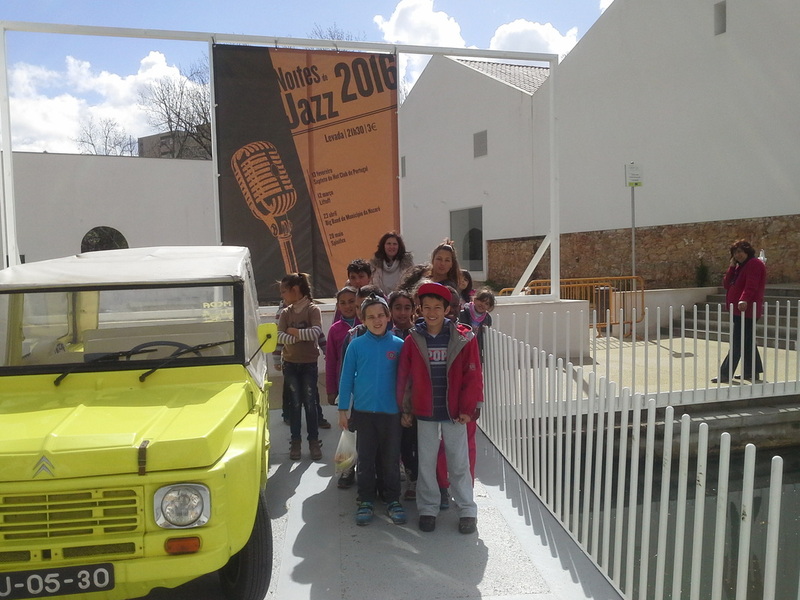 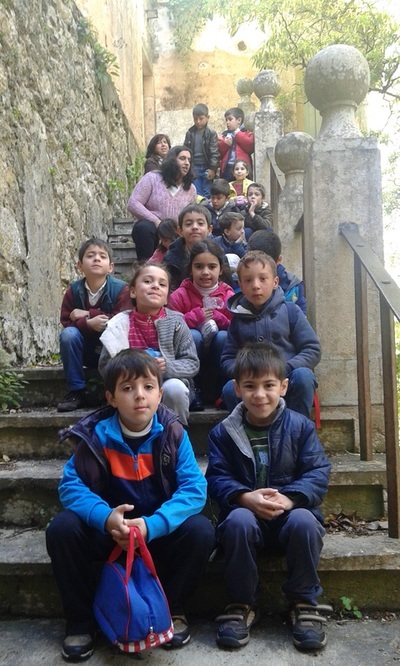 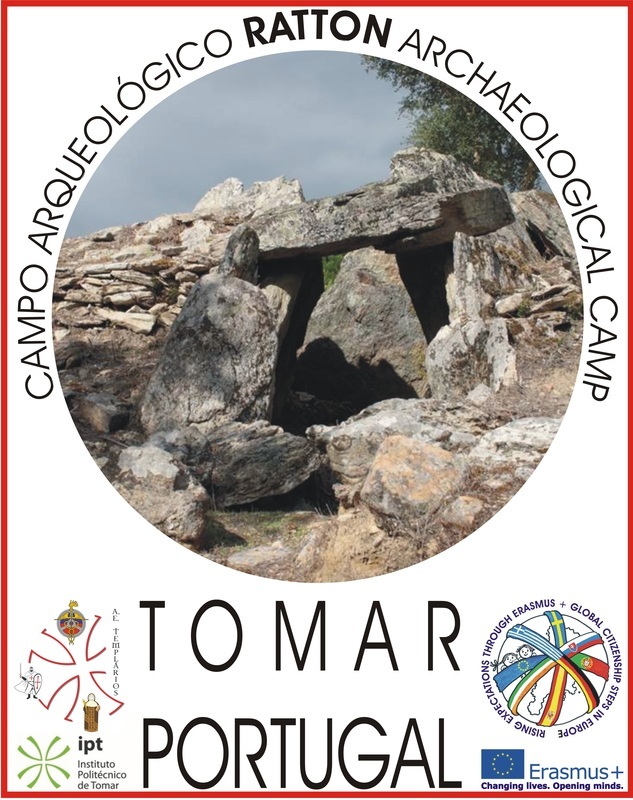 One of the products of our Ersmus Project in Tomar is the Archaeological camp for pupils from 3rd to 6th grades. 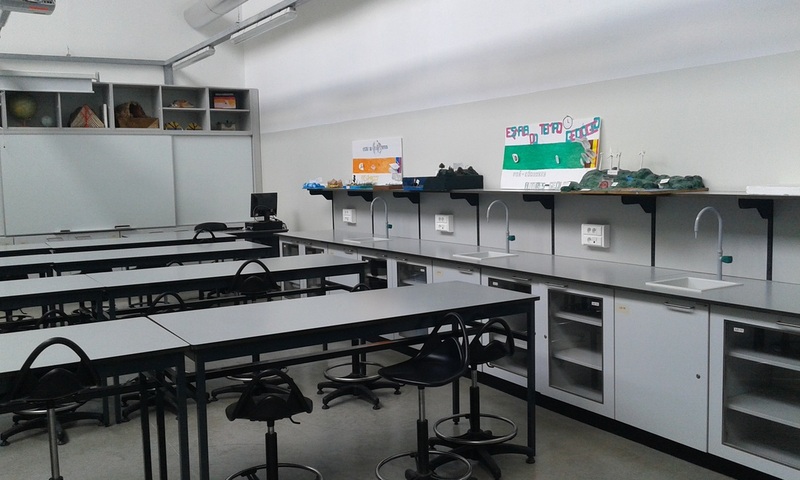 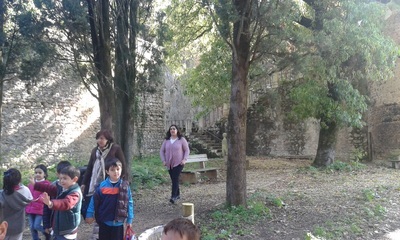 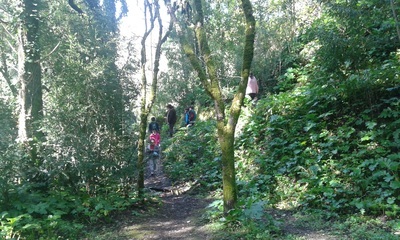 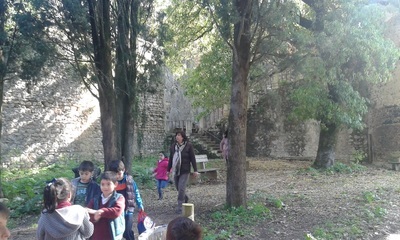 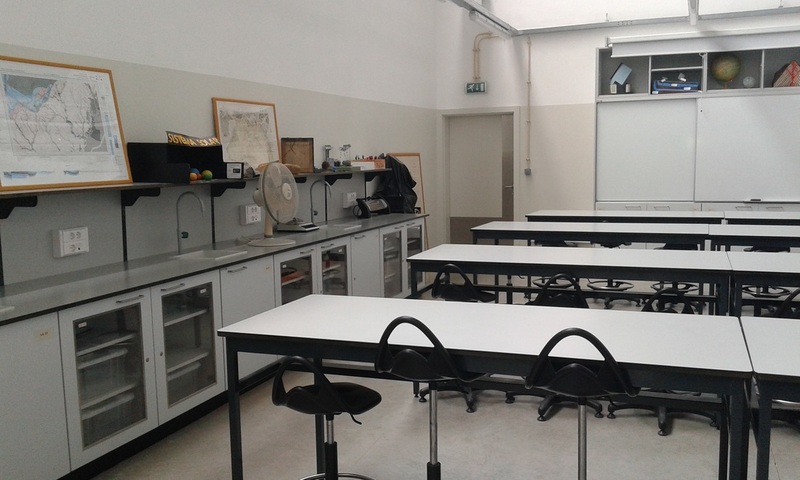 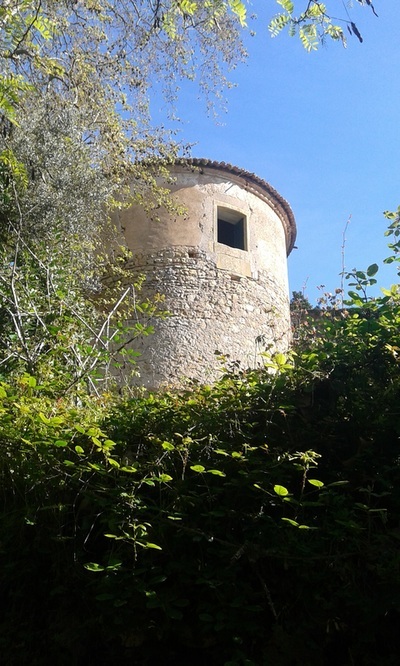 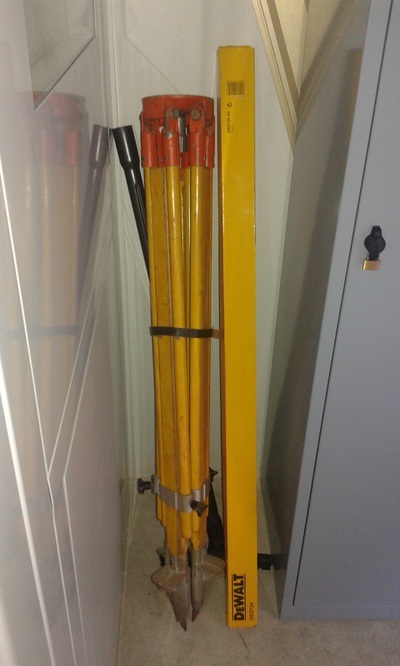 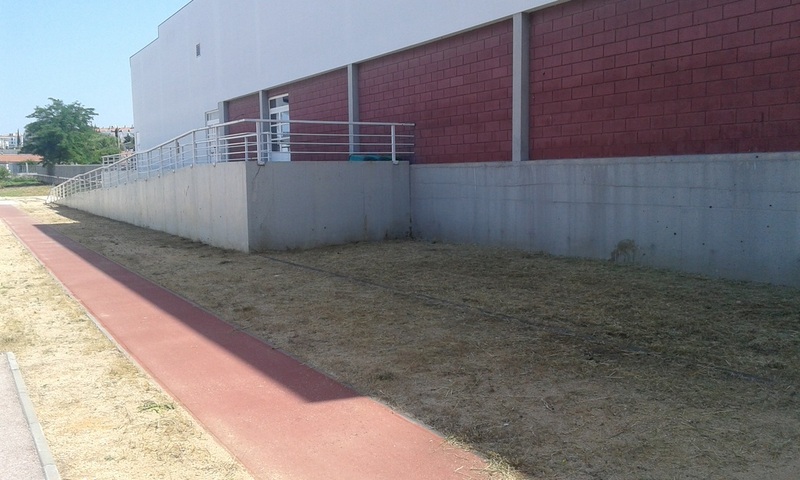 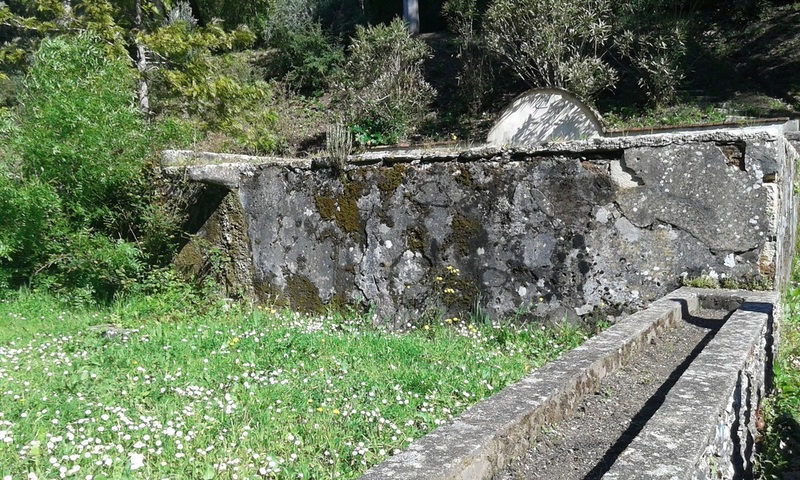 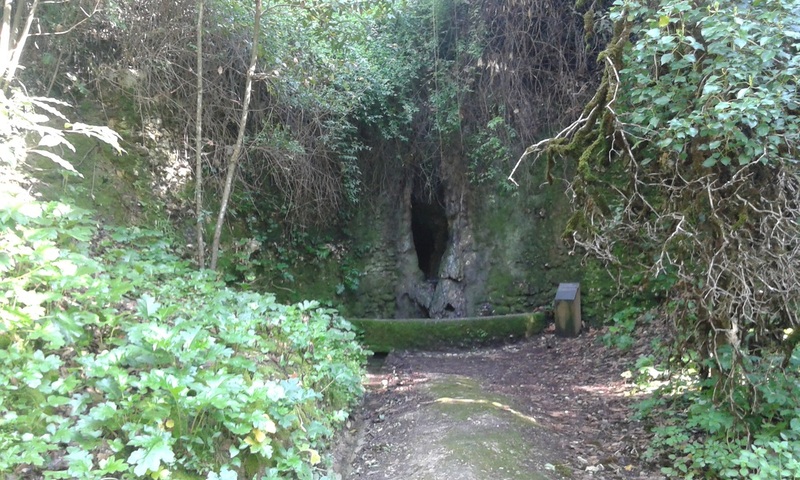 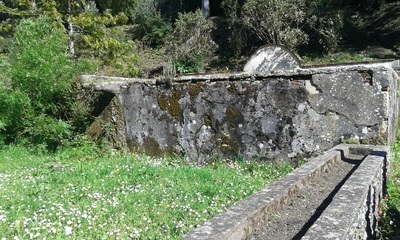 A place is being prepared to receive classes of young archaeolgists inside the facilities of Jacome ratton School (the head of Templários Group of Schools. 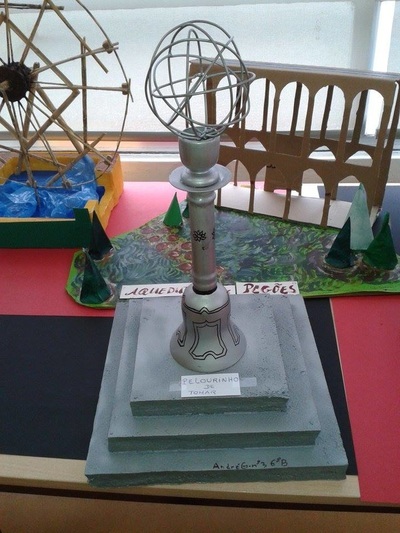 The intention was to creating a edagogical resource that might function complimentary to classes, providing excavation experiences at a ludic level. 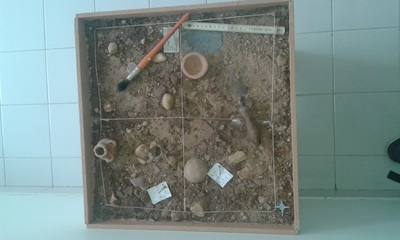 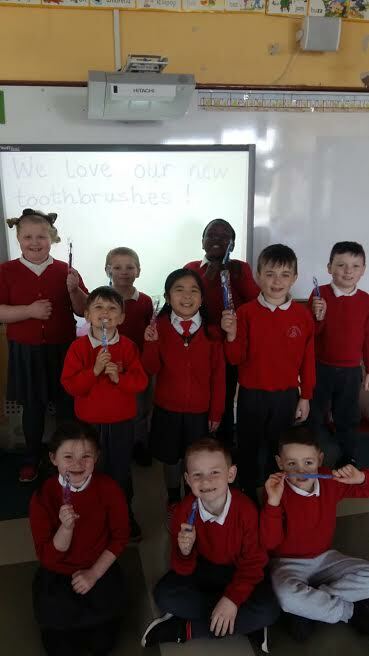 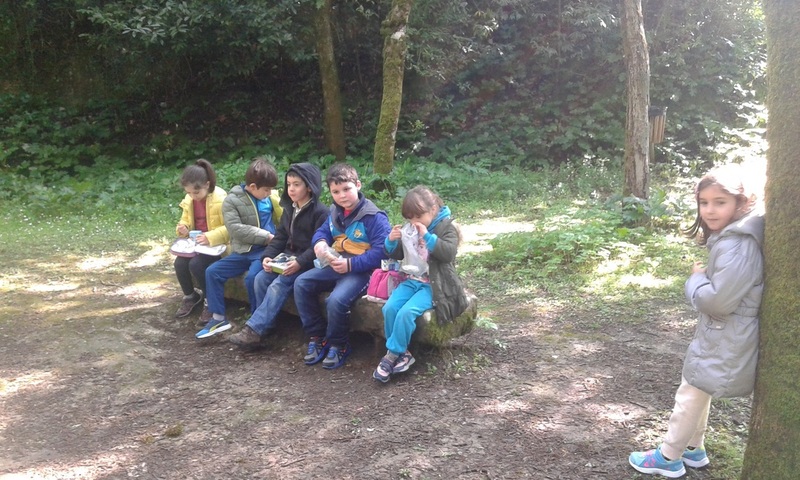 Pupils will be invited to excavate, clean, wash and draw their findings. 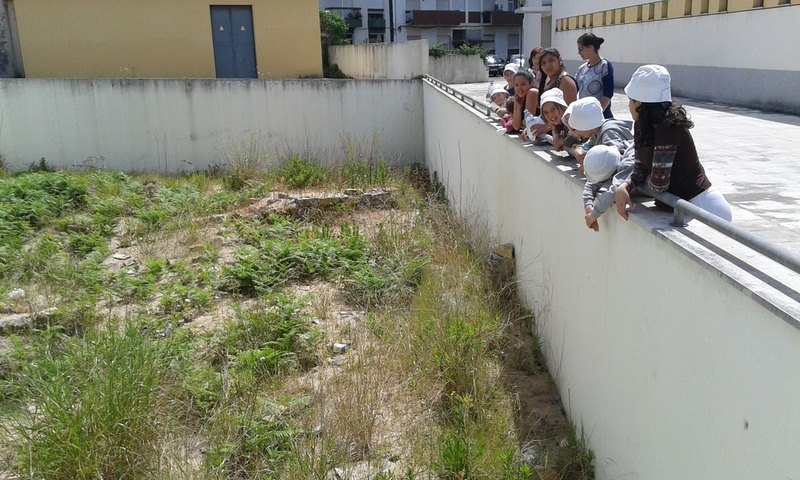 For that, we have created the place to excavate, an archaeological tent will be placed on site and the final work will be in the laboratrium. 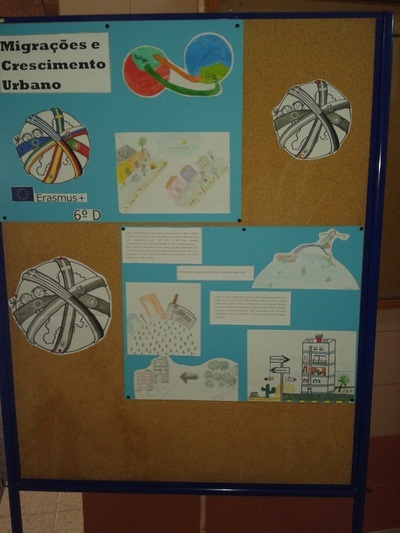 By doing this, we are achieving one of the goal of Erasmus Plus philosophy - produce things to be used further in time with useful applications. We have organized a partnership with the Politechnic Institute of Tomar / Archaeologic Departament (supervised by PHD Ana Cruz) and next school year our school wil be ready to receive pupils to experience archaeology. 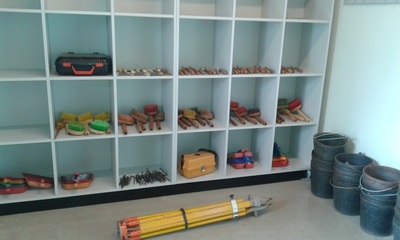 Hereunder you may find the logo, pictures of the place and the tools for the kids to use. 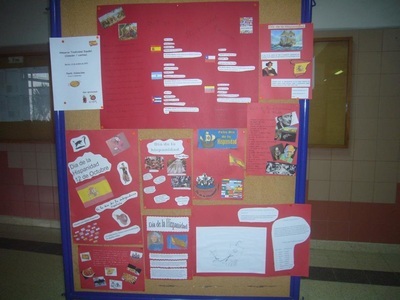 You may find also the project of this all year long activity and the basic list of tools. 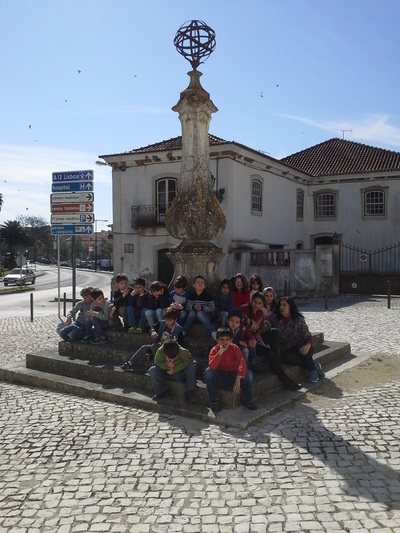 Um site correspondente a um livro escrito por Carlos Trincão no contexto deste tema, tendo em conta que a História de uma cidade é uma sucessão de migrações de vários Povos e de evoluções urbanas sistemáticas. O livro foi publicado em 18 de abril de 2016. Segunda edição em 1 de junho de 2016. 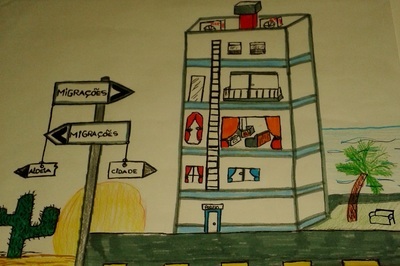 O conteúdo pode ser descarregado abaixo. 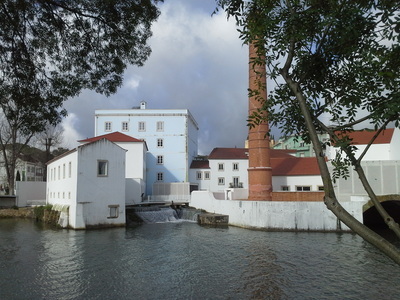 An website corresponding to a book by Carlos Trincão on this theme assuming that the History of a City is a following up og migrations of different peoples and different urban evolutions, one after yhe other. 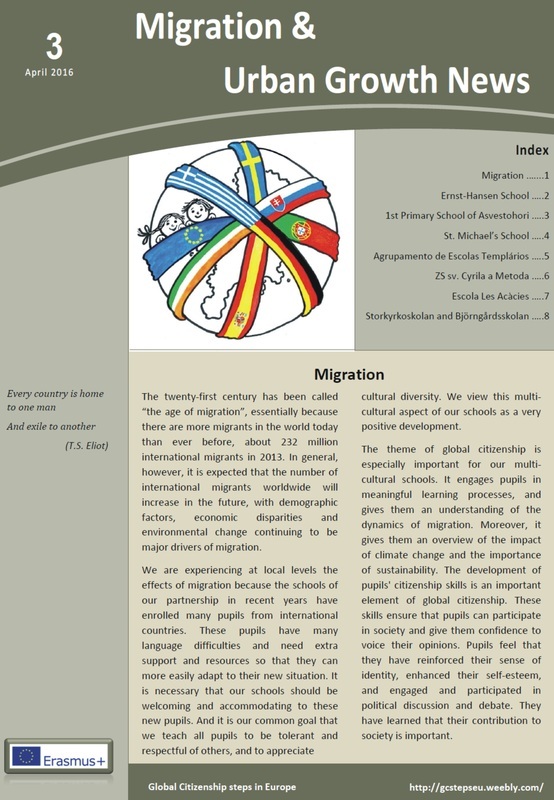 Book has been published in Aptil 18th 2016; 2nd edition on june the 1st 2016. 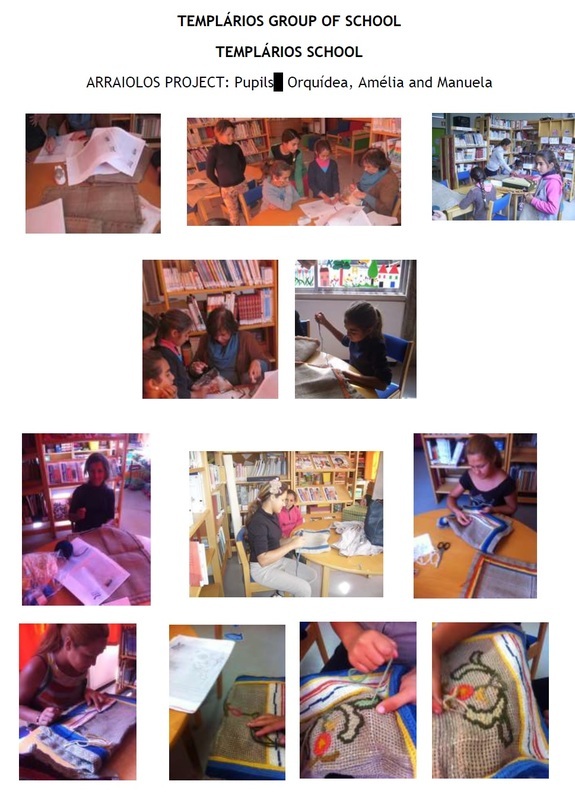 English version after the publishing of the english version of the book. 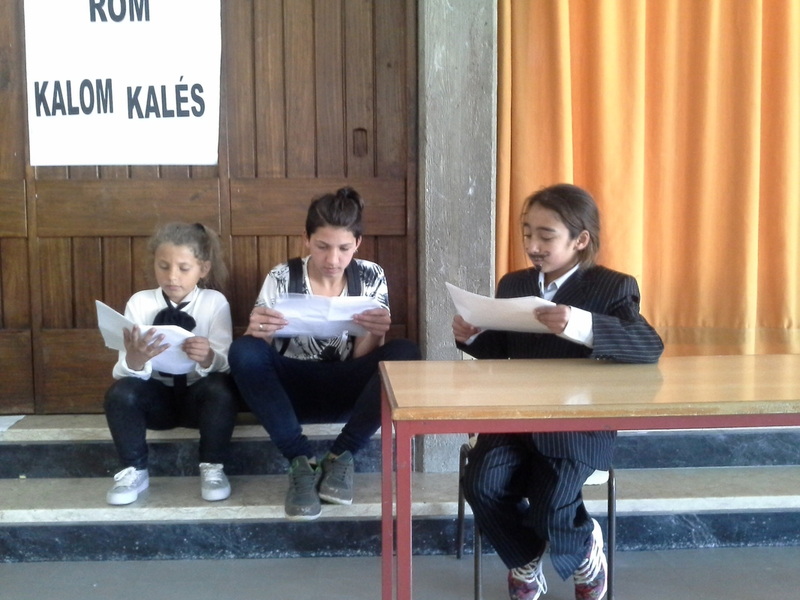 Translation ongoing. ​The contents might be downloaded below. 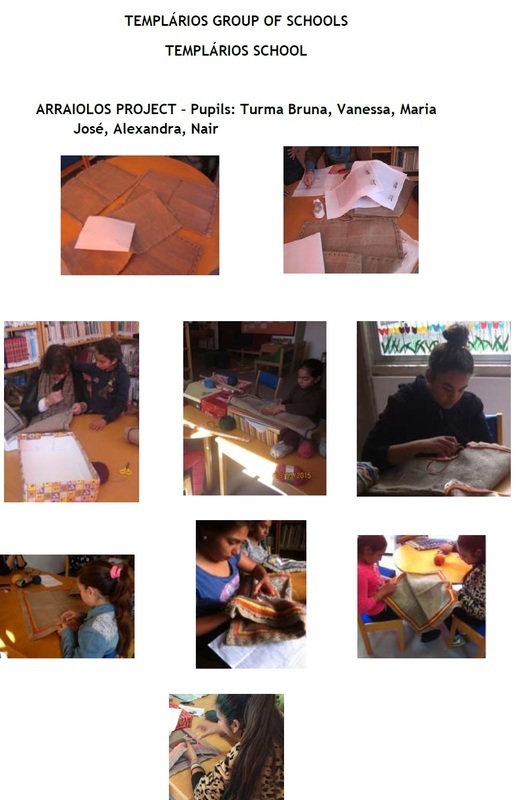 Activites set 1 – February - 7 visual presentations at school regarding different aspects of the growth and development of Tomar through the centuries, as a preparation for field visits. 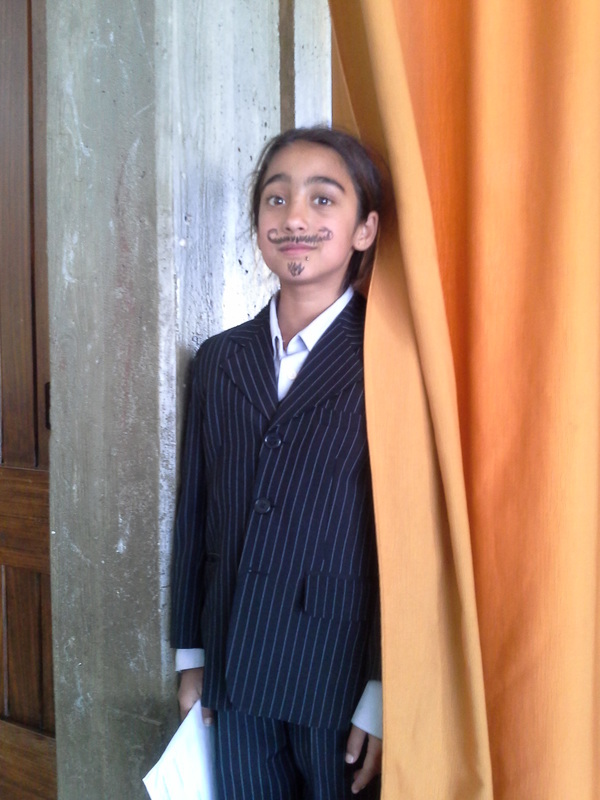 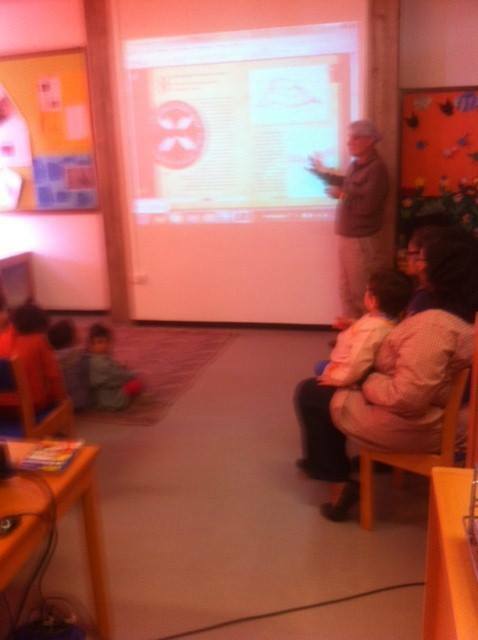 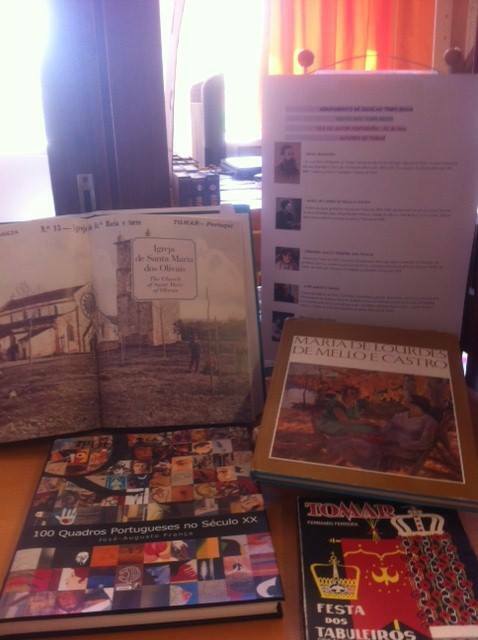 ... and opening of an exhibition about authors of Tomar in the school library. 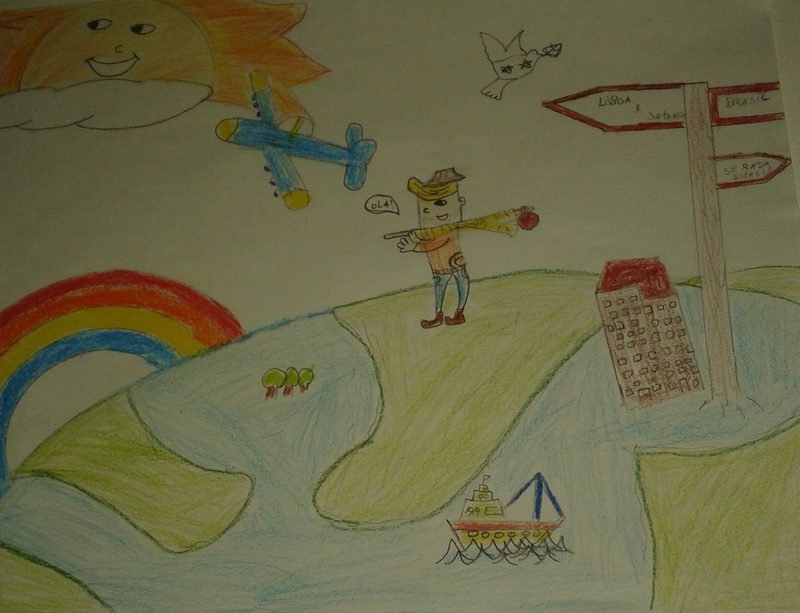 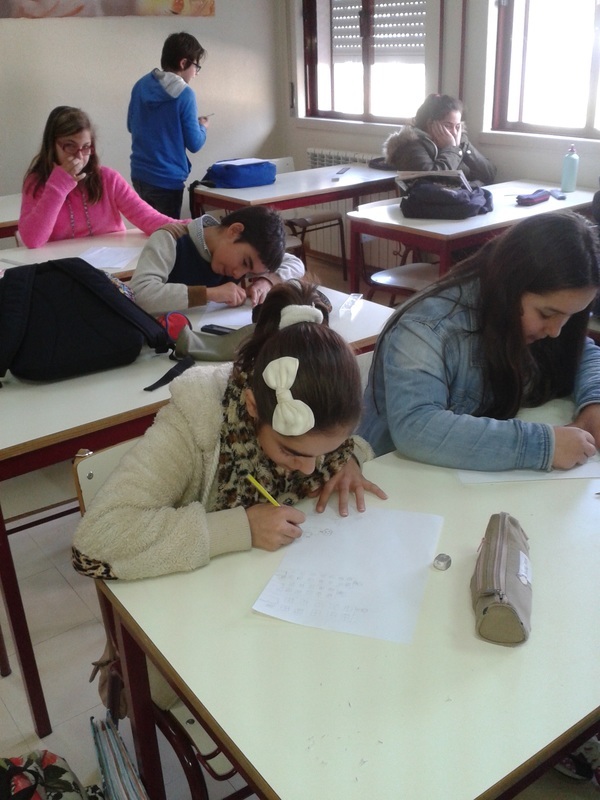 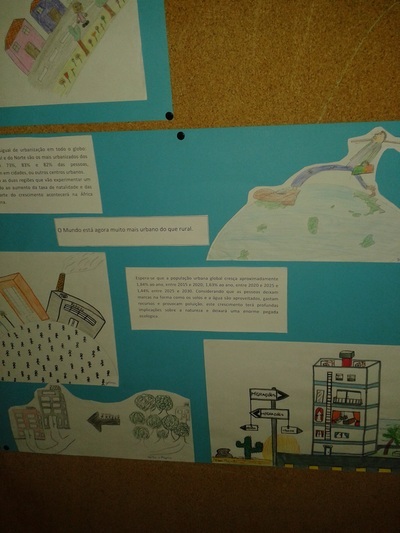 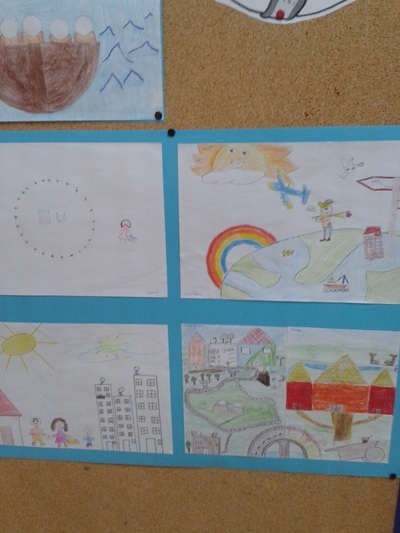 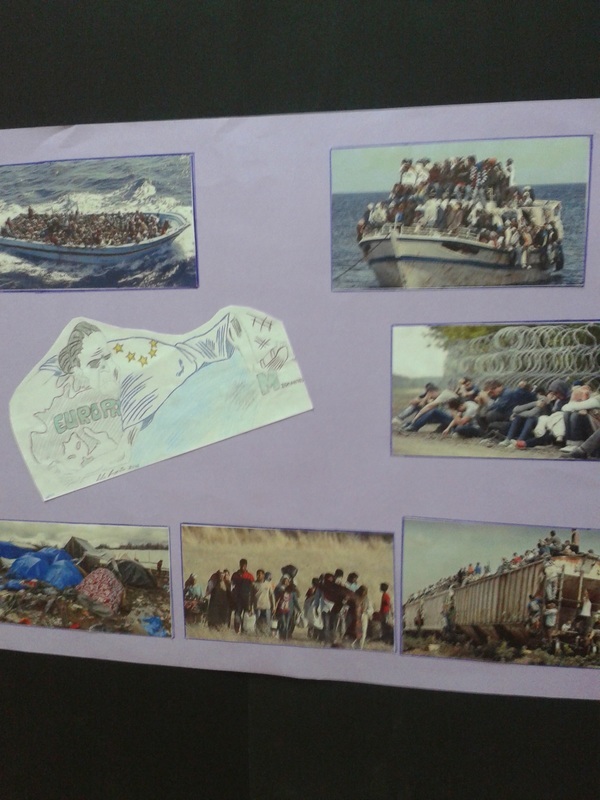 6th Grade pupils of Santa Iria School and 4th Grade pupils of Templários schools have contributed with their works for the project general newsletter on Decomcracy and Citizenship. Page nº 5 was their contribution as it might be seen under. 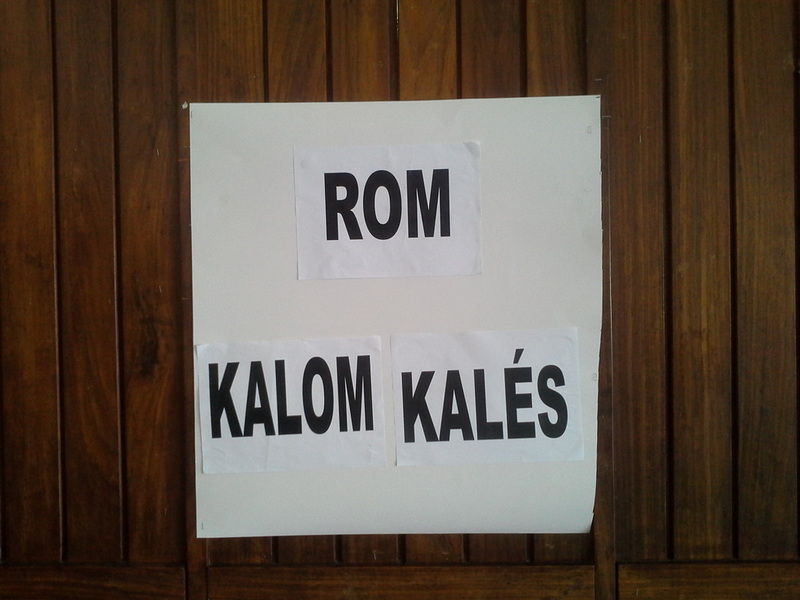 language of that people perfectly integrated in our school. 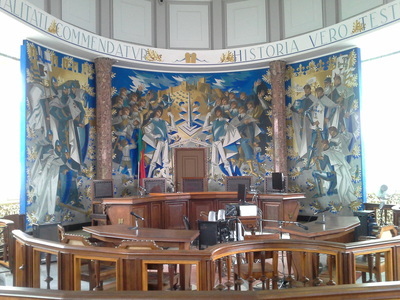 The flag shows a wheel of a chart, typical transportation of this people. 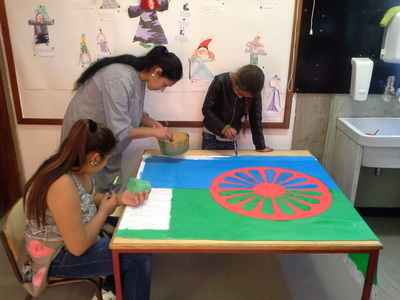 ​The green represents the land and freedom. 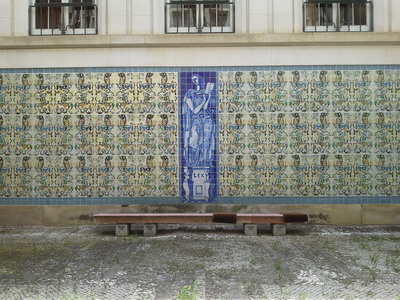 The blue, the sky and hope for better days. 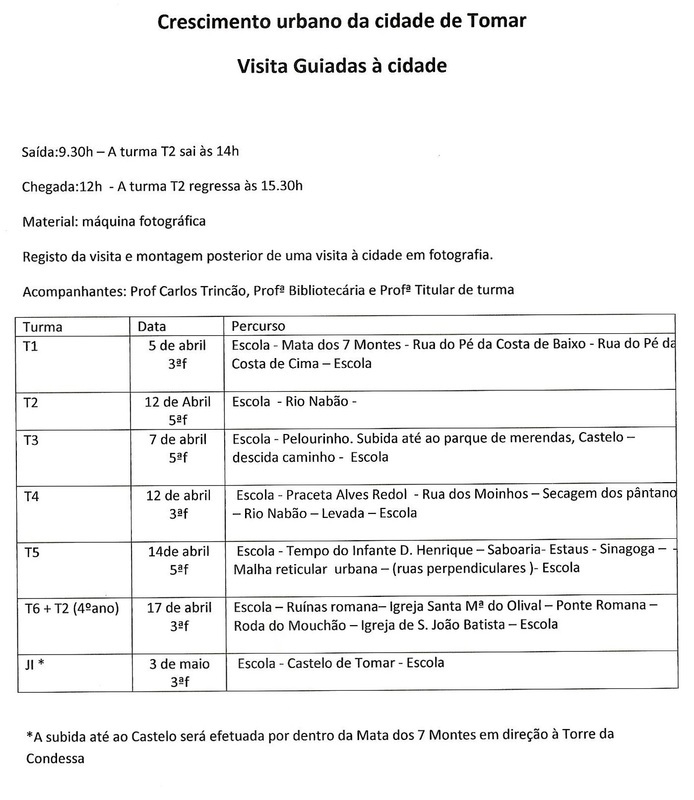 No âmbito do DIA INTERNACIONAL DO CIGANO, a nossa escola assinalou esta data com uma atividade protagonizada por alunos de etnia cigana e não cigana. Os alunos apresentaram uma encenação teatro onde explicaram as características e cultura do povo cigano, fazendo referência às suas origens, hino e bandeira, língua e perigo do seu desaparecimento, modos de vida, tradições, casamento, danças e canções. 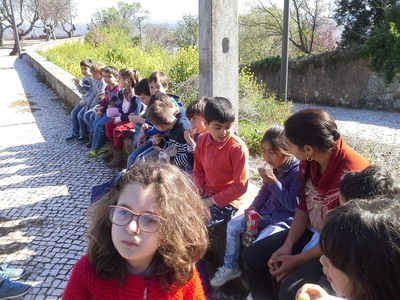 Toda a atividade foi dinamizada pela assistente operacional Bruna Silva. Durante toda a semana houve ensaios, leram-se os textos, escolheram-se os fatos e com a ajuda do professor Luis Diz e da assistente Bruna Silva, os alunos pintaram a bandeira representativa do povo cigano. É de salientar que toda esta atividade promoveu uma vez mais, um bom momento de ligação e convívio de toda a comunidade escolar! 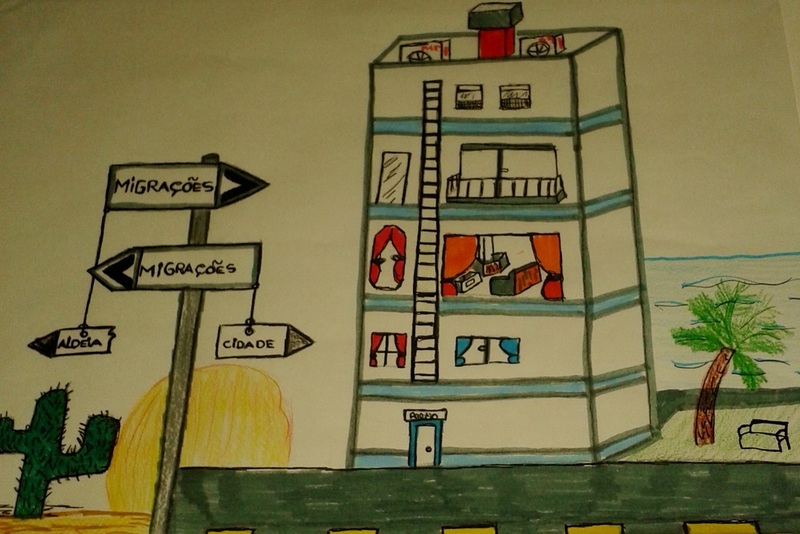 É de referir o interesse e o empenho que os alunos intervenientes mostraram na apresentação do trabalho! 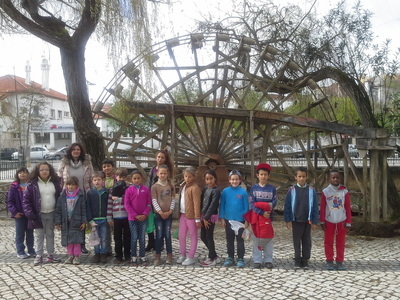 Momentos também de novas aprendizagens! Todos aprenderam mais! 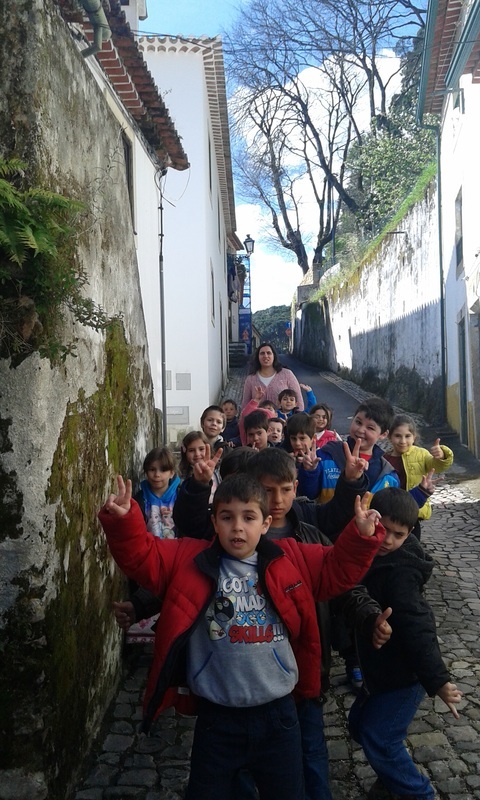 Foi bom ouvir os diálogos, foi bom (muito bom) ver os alunos empenhados numa boa leitura! 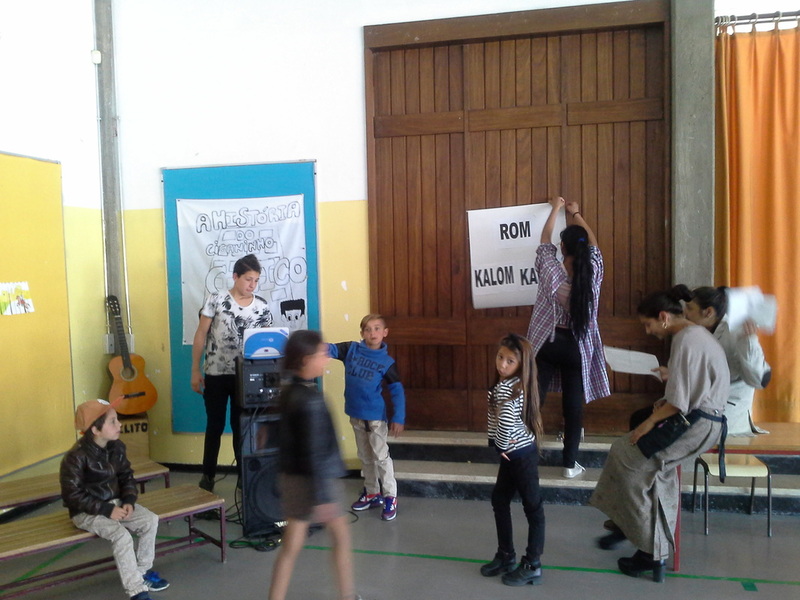 A festa acabou com todos os alunos a dançarem a mesma dança!... 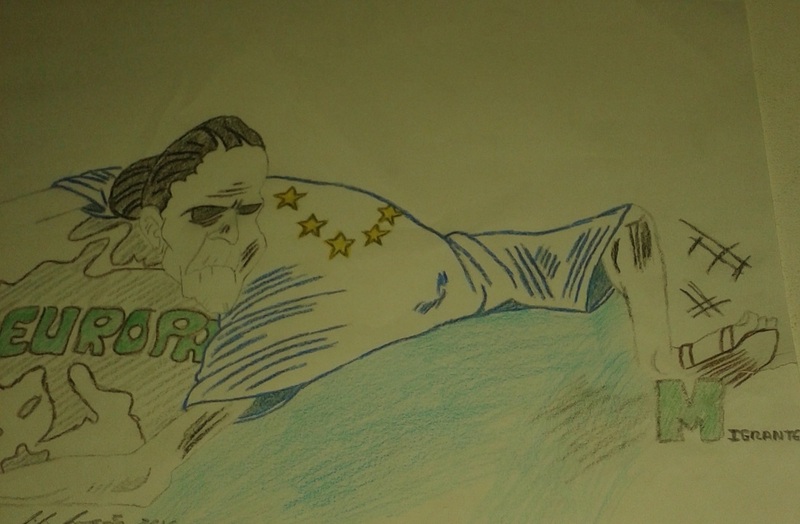 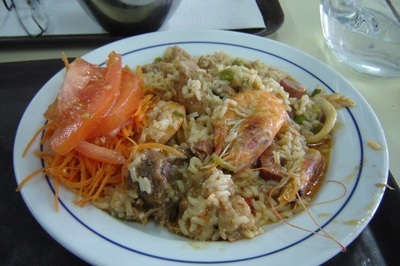 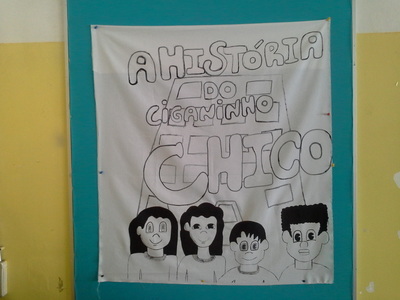 Foi bonito! 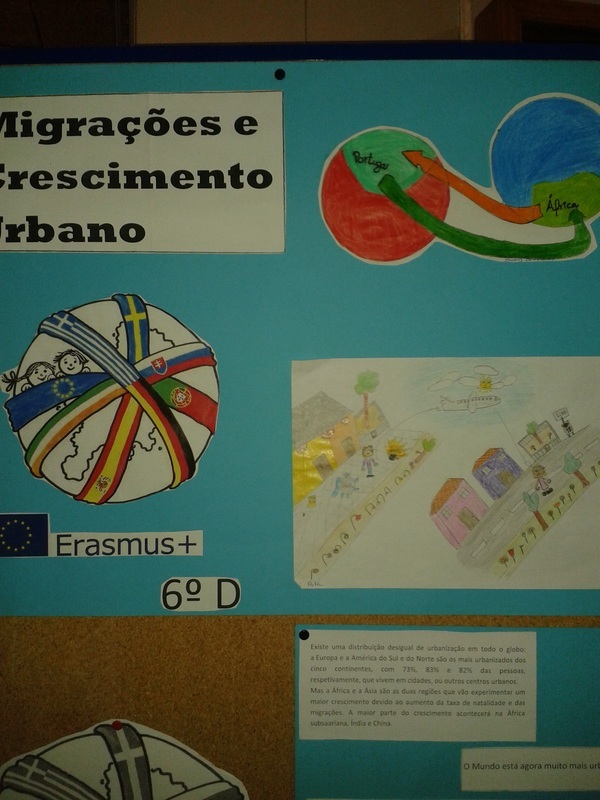 De referir que a atividade foi inscrita no conjunto de acções do Projeto ERASMUS+ em curso no Agrupamento, Cidadania Global, no contexto do sub-tema “Migrações e Desenvolvimento Urbano”. 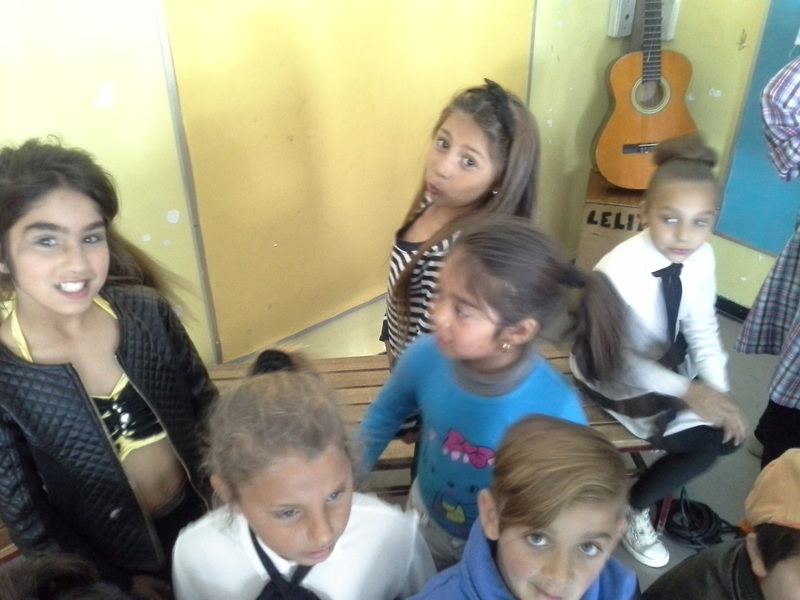 See photos and videos hereunder. 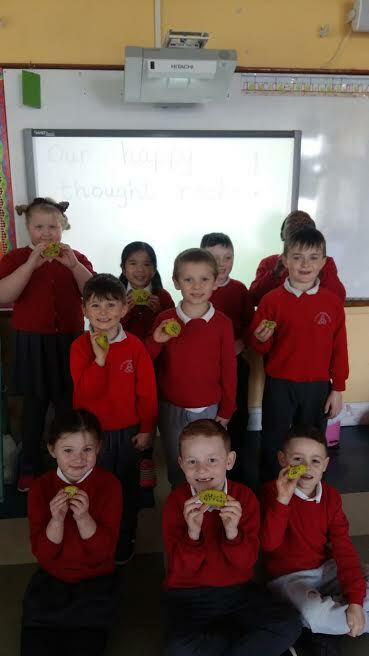 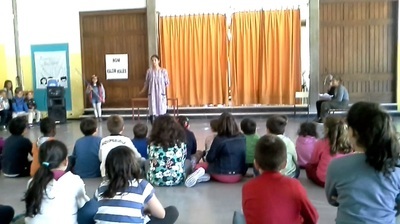 We can hear and see. 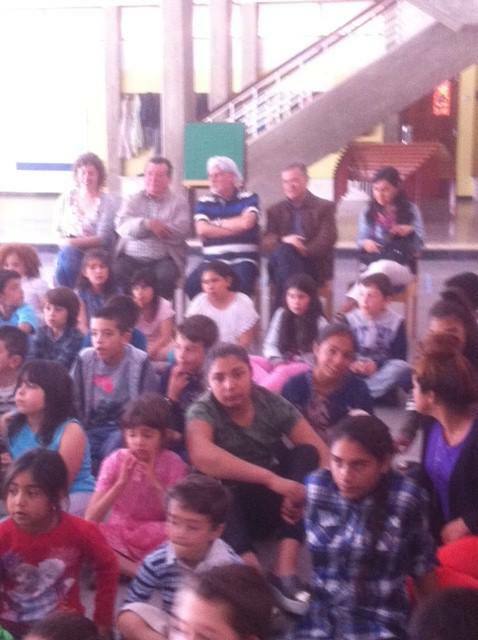 We also have a head to think; because of it, many questions are real if we get attentive to whatever surrounds us. 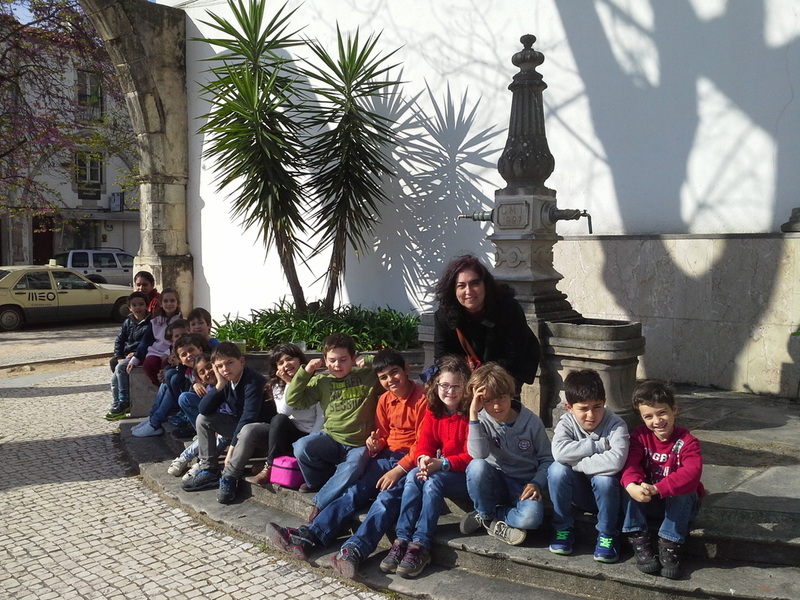 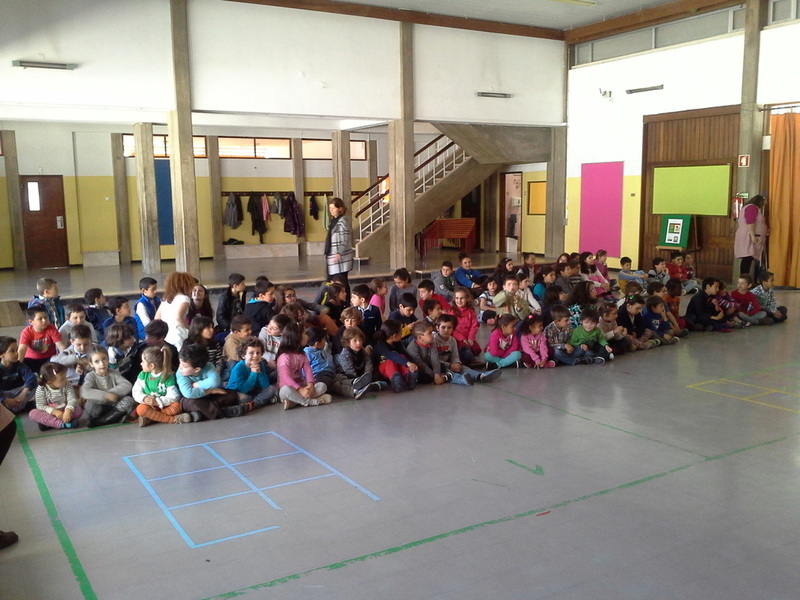 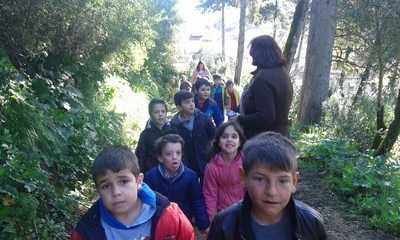 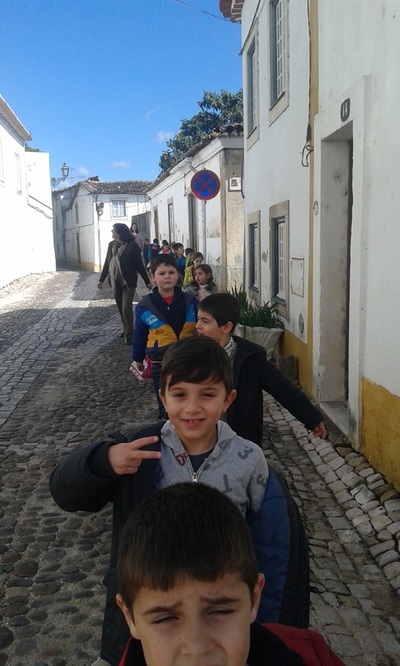 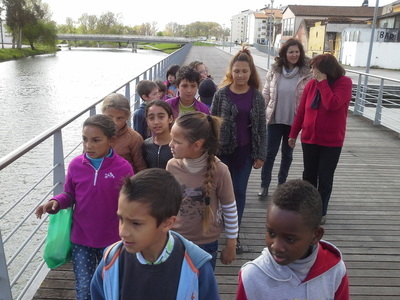 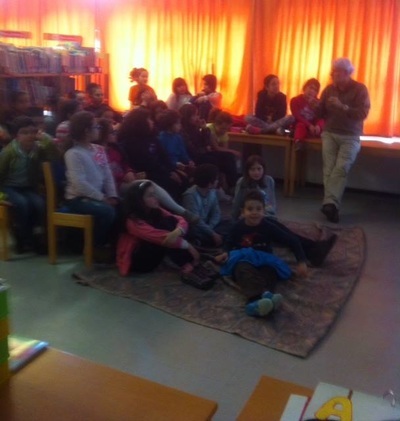 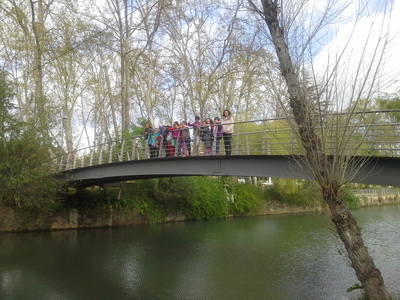 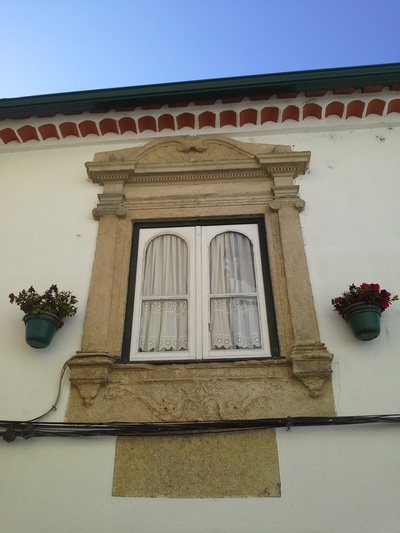 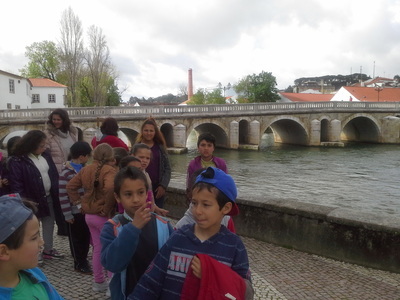 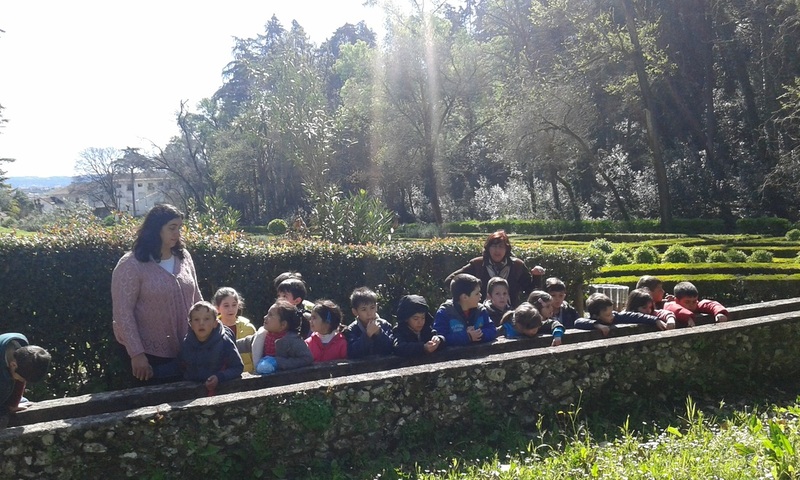 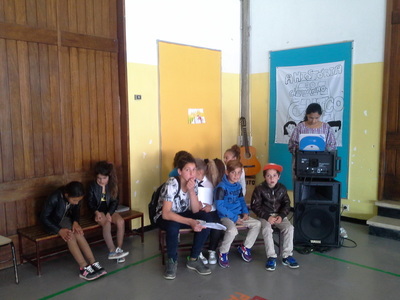 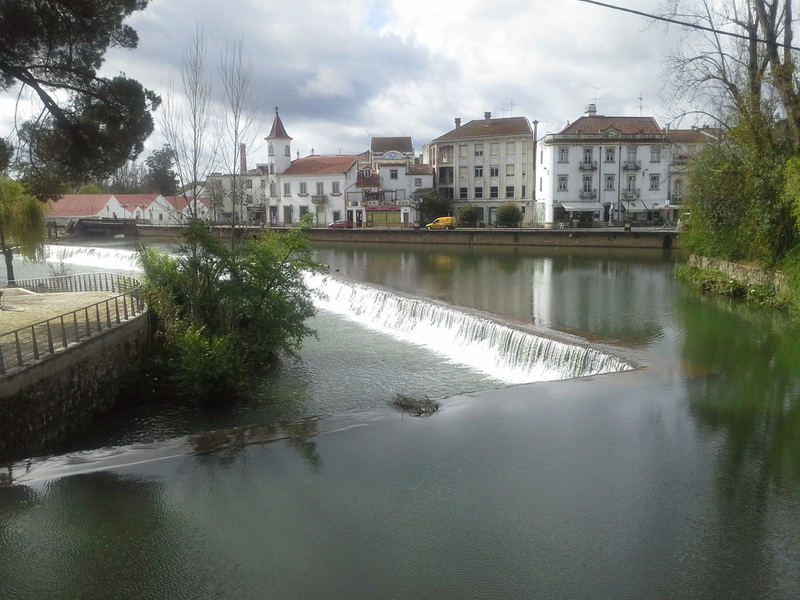 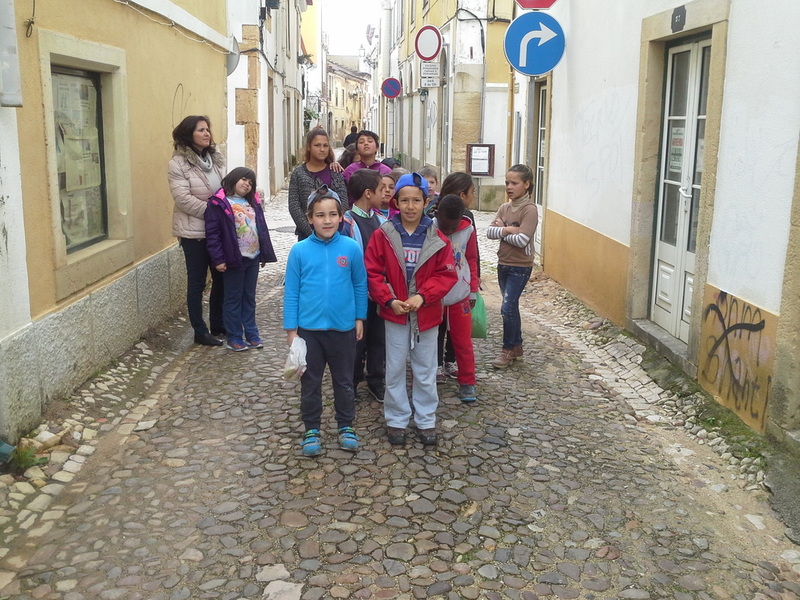 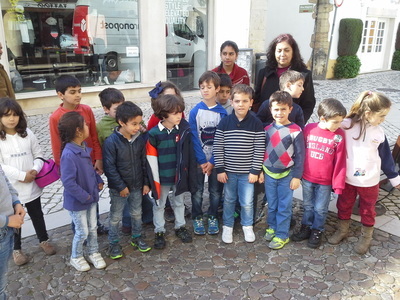 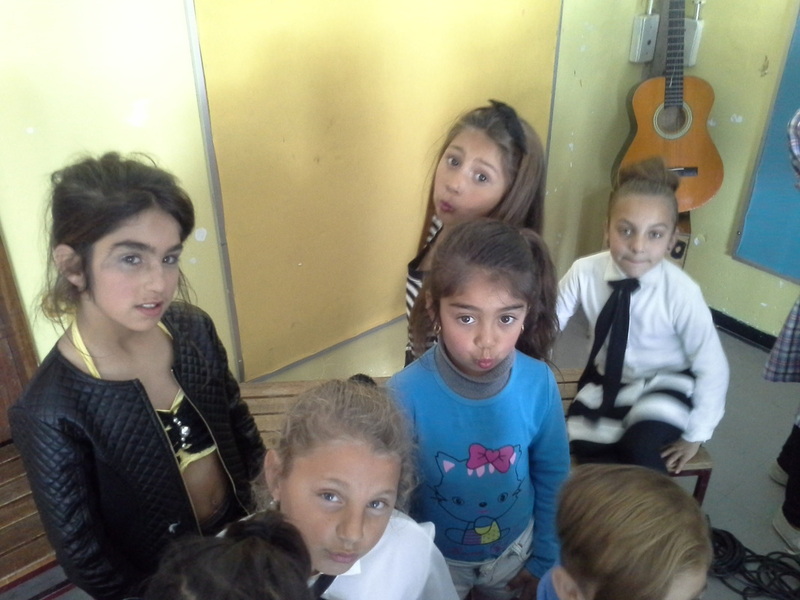 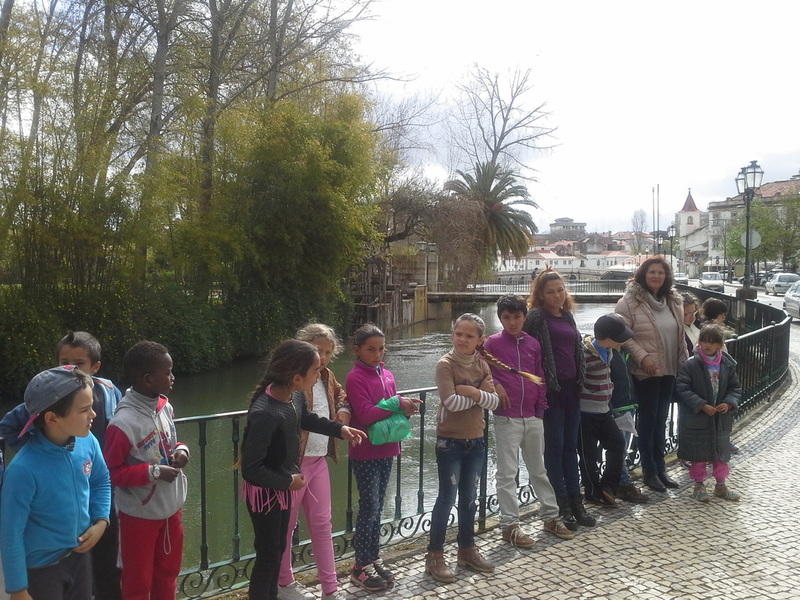 On our school (Santa Iria School, Tomar, Portugal) there are many pupils with migrant relatives. Some of them are, or have been, apart from them because they have to look for work elsewhere abroad. To think properly about the reasons that led people to travel leaving behind their families, roots and springs, pathing an unknown adventure full of risks and uncertainties has something to do with all of us. 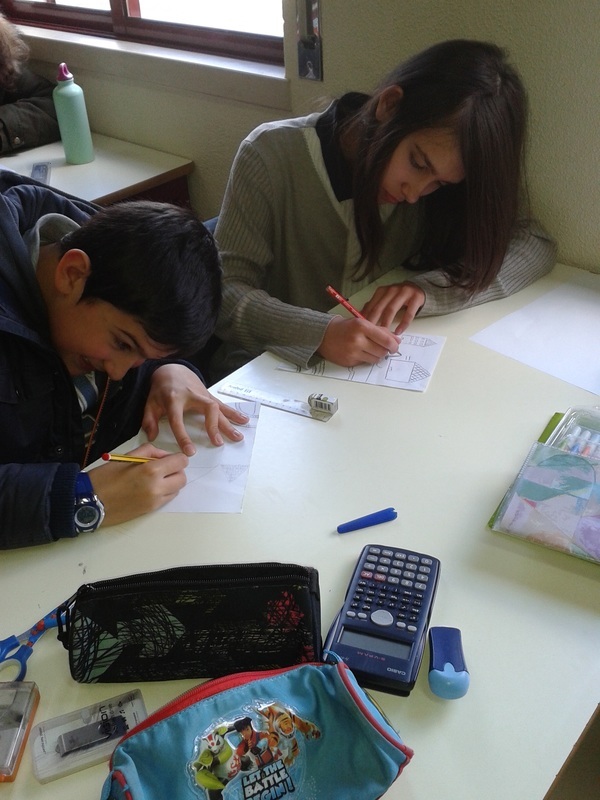 We, 6th graders from class D, were thinking about migrations. - Many others run away from war and persecutions. 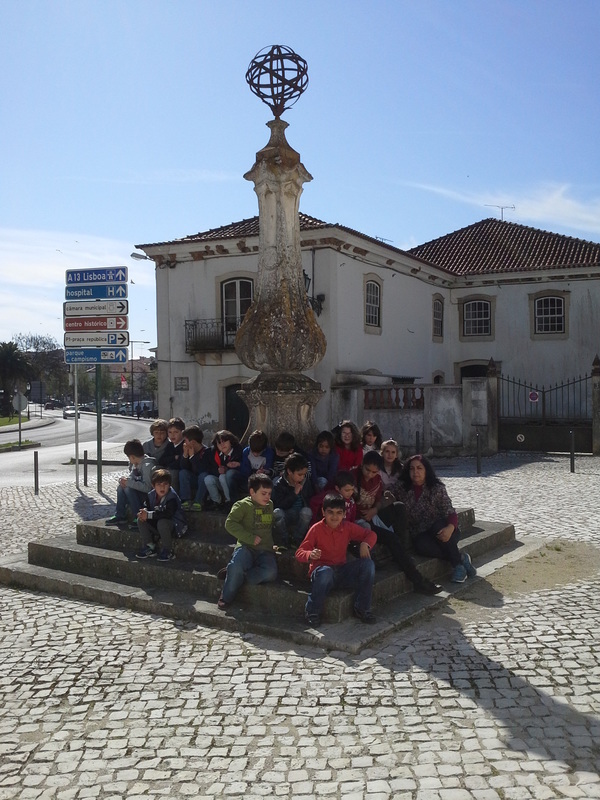 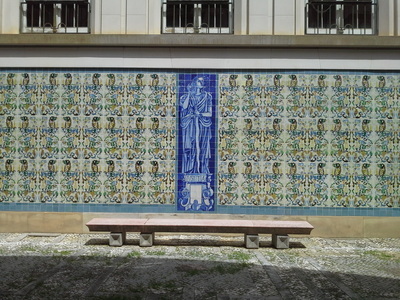 Some of us remembered what we have learnt on History classes and reminded ourselves about us, Portuguese, always had been a migrant people, used to cross each and every continent, taking and getting influences to and from all of those places. 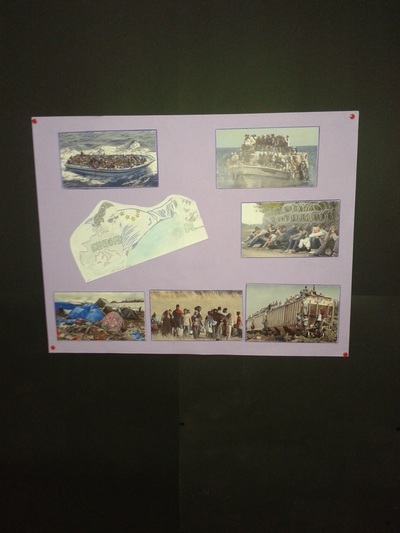 Iberian Peninsula itself, since ever, was a passing point and a place to other far away peoples to settle here. 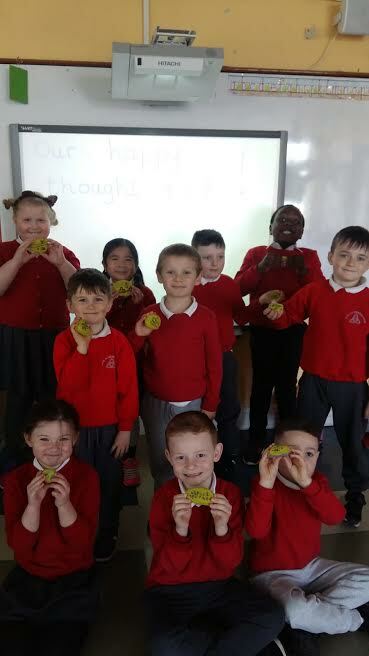 After this so interesting debate, we have prepared some art work to display outside the classroom so that everything we thought about and discussed might be shared by the whole school. 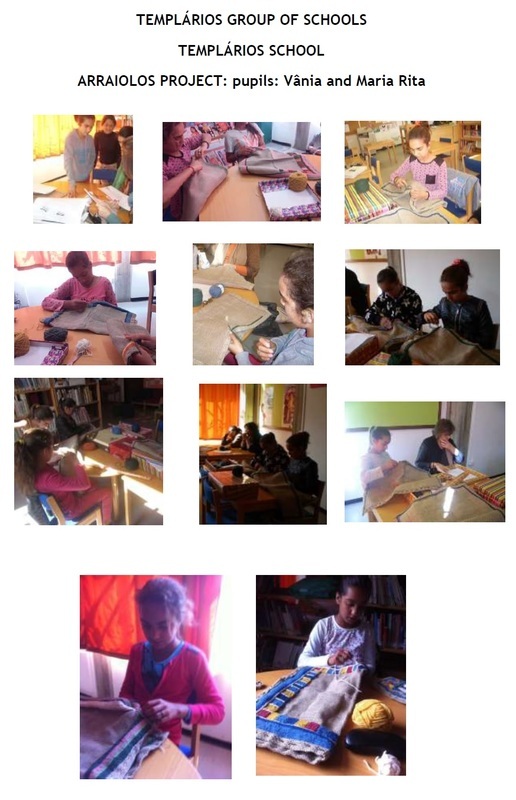 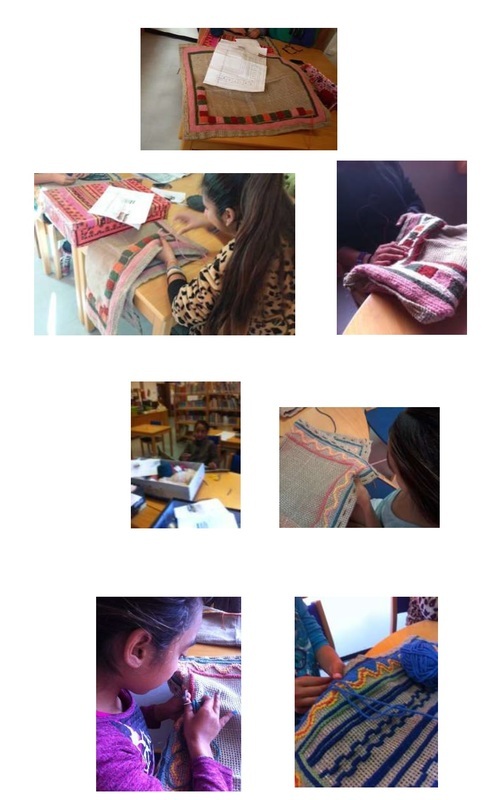 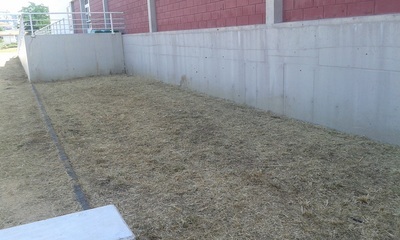 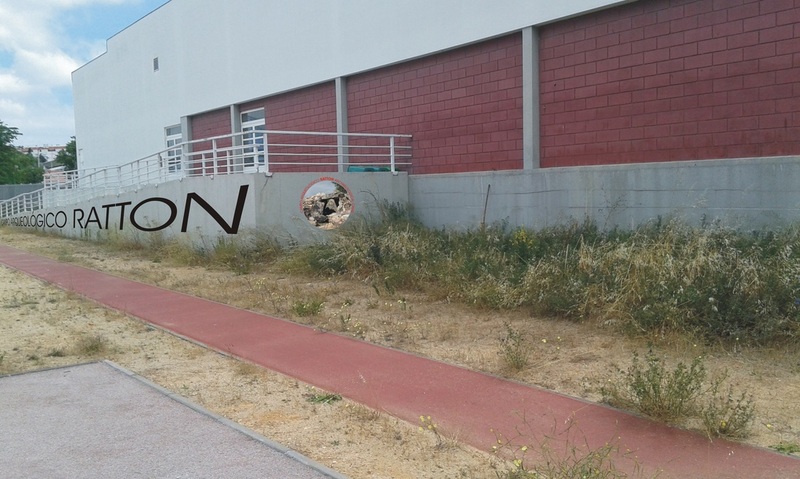 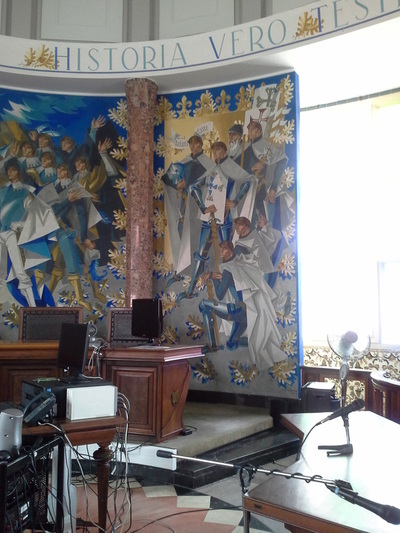 Here we leave some images of our works and the working process. 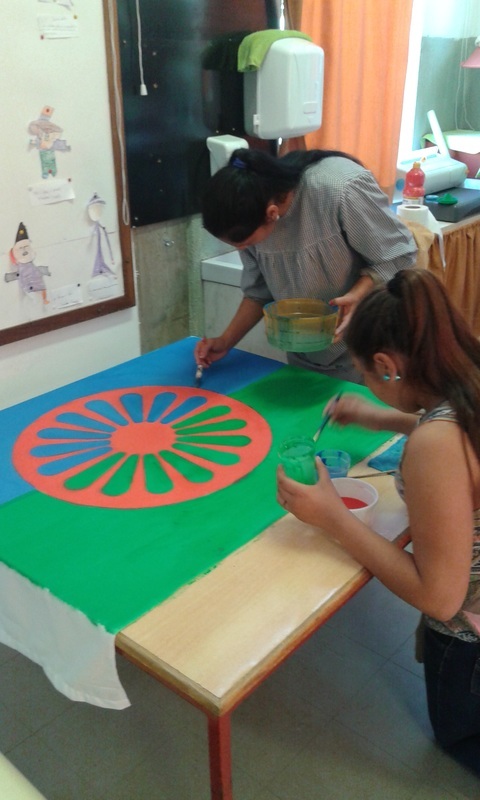 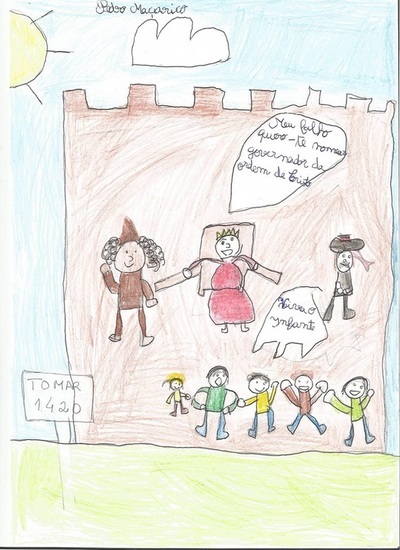 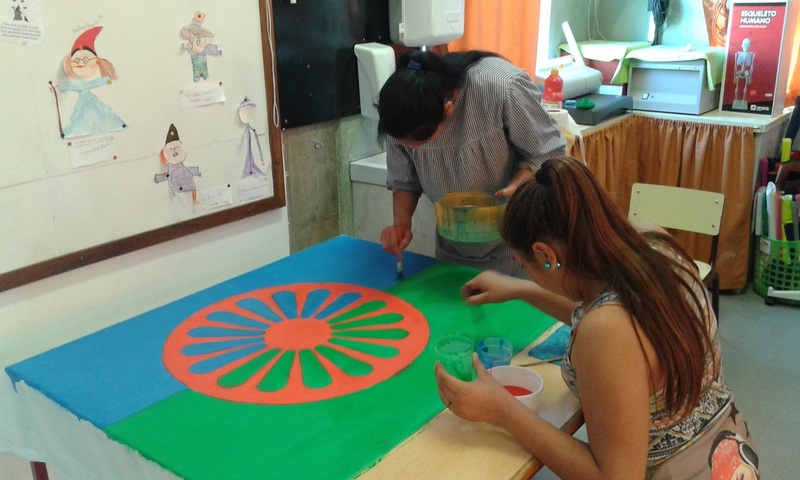 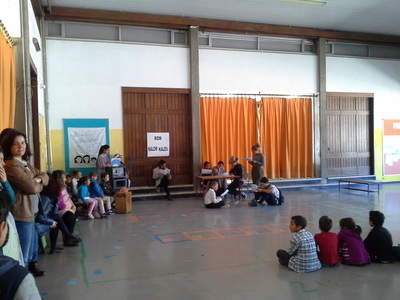 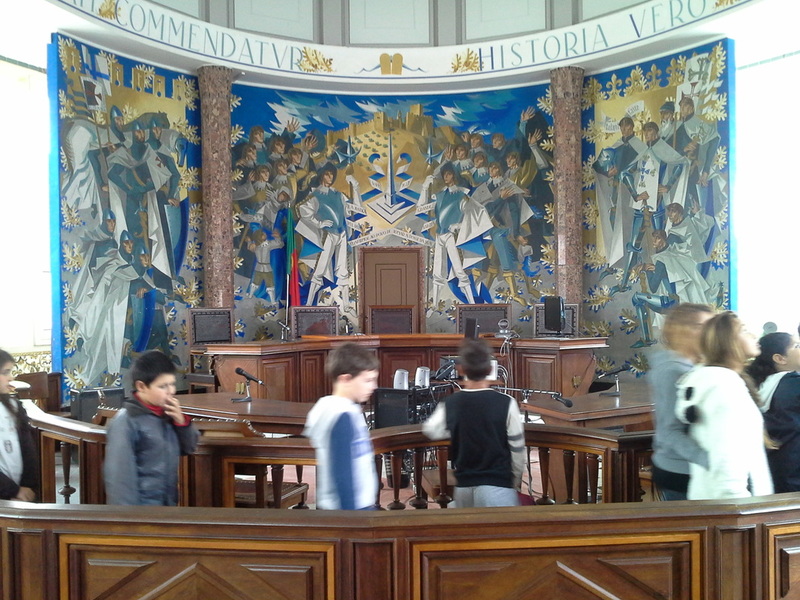 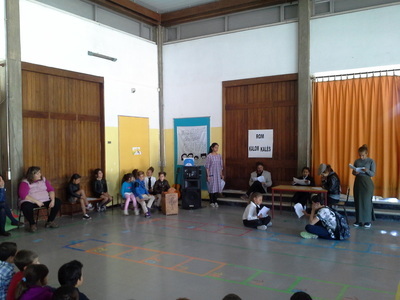 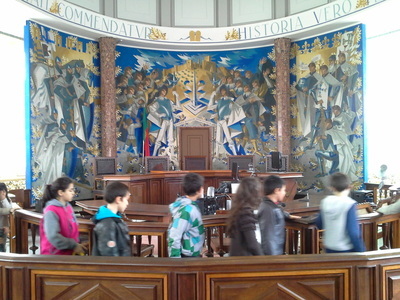 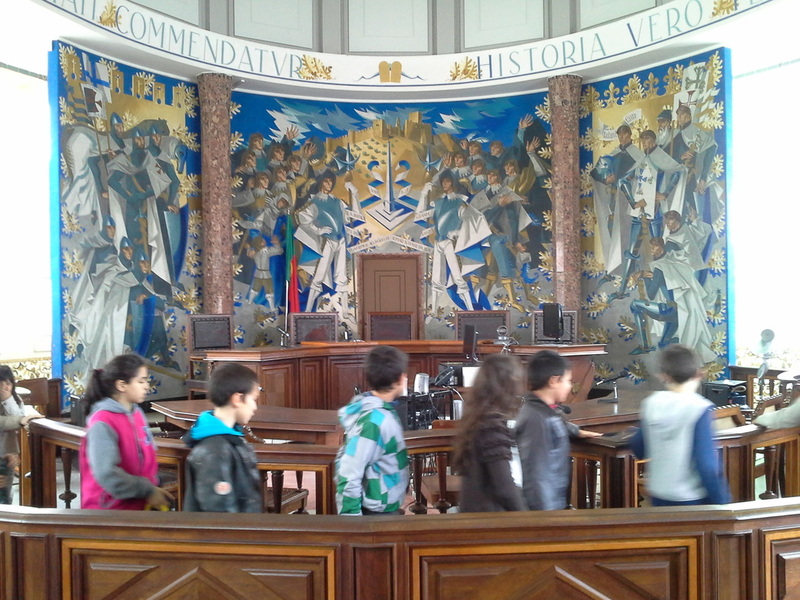 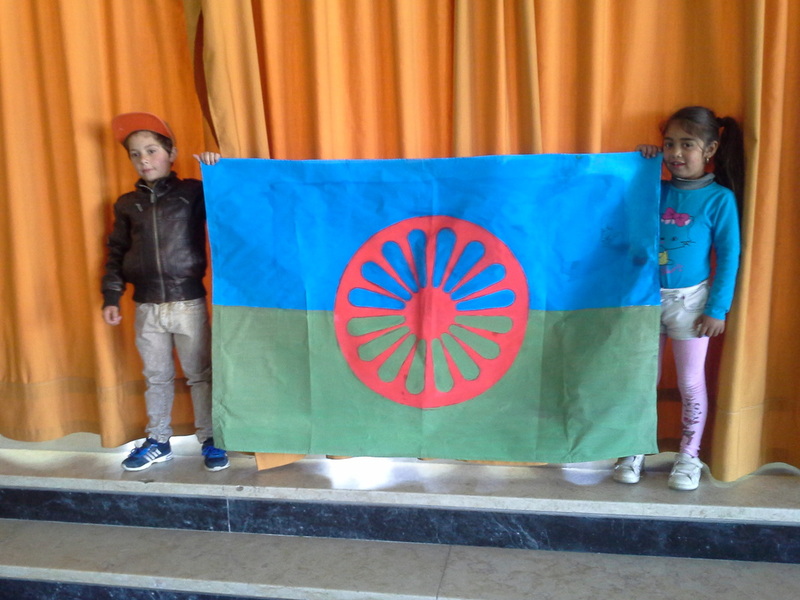 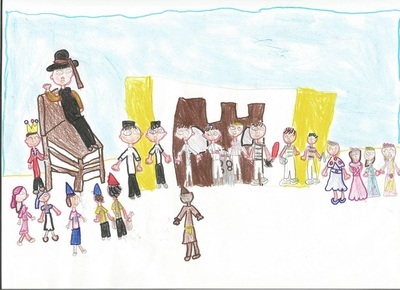 During two weeks, in three schools (Santa Iria School, Gualdim Pais School and Templários School, three different public exibitions were created to celebrate the founding day of Tomar. 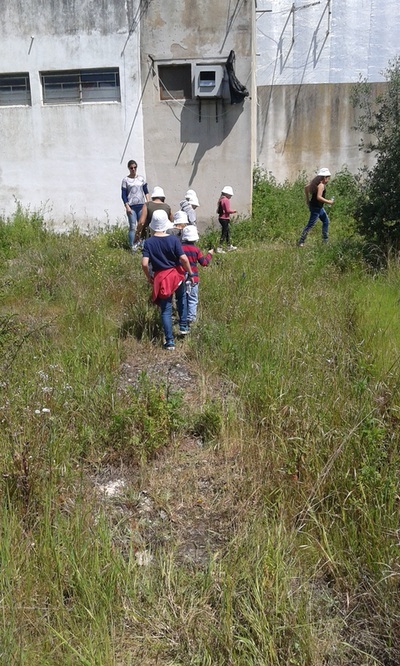 Tis activity, although a regular one each year, this time had the renewed importance of being part of our Erasmus Project on the context of the Theme Urban Growth. 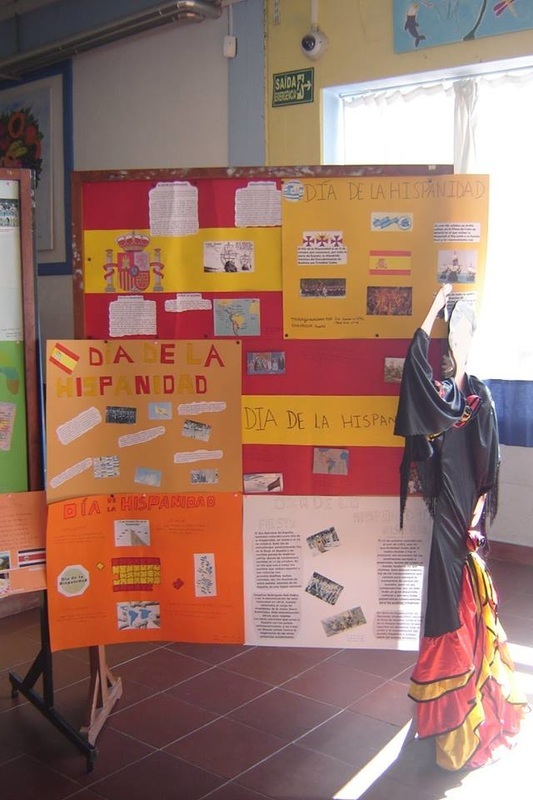 The Templários Group of School Pupils of Spanish language celebrated HISPANIDAD DAY with works, exebitions and spanish meal. 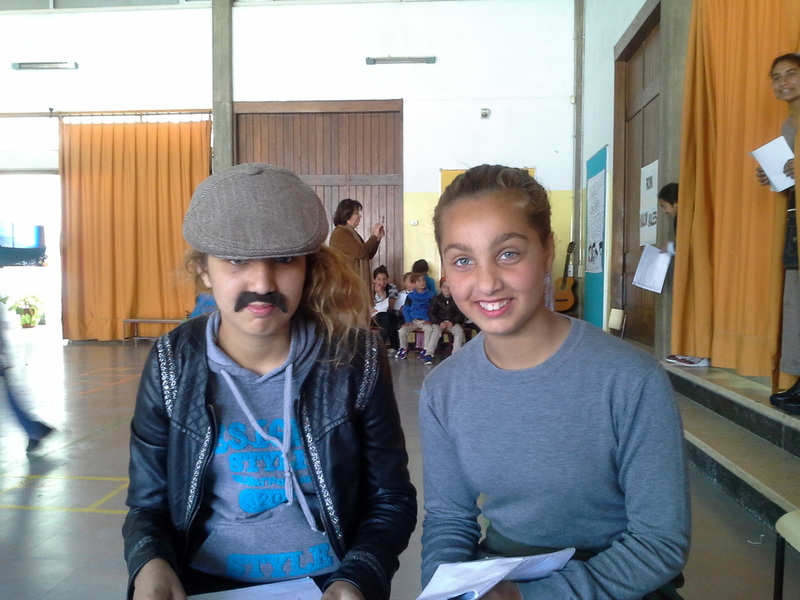 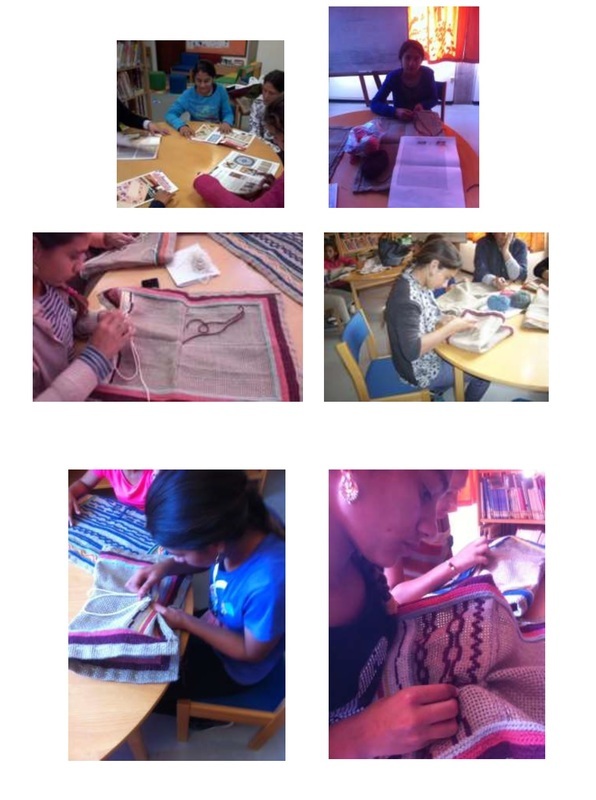 The fact that Spain / Barcelona is one of our partners made this activity a part of our Erasmus Project. 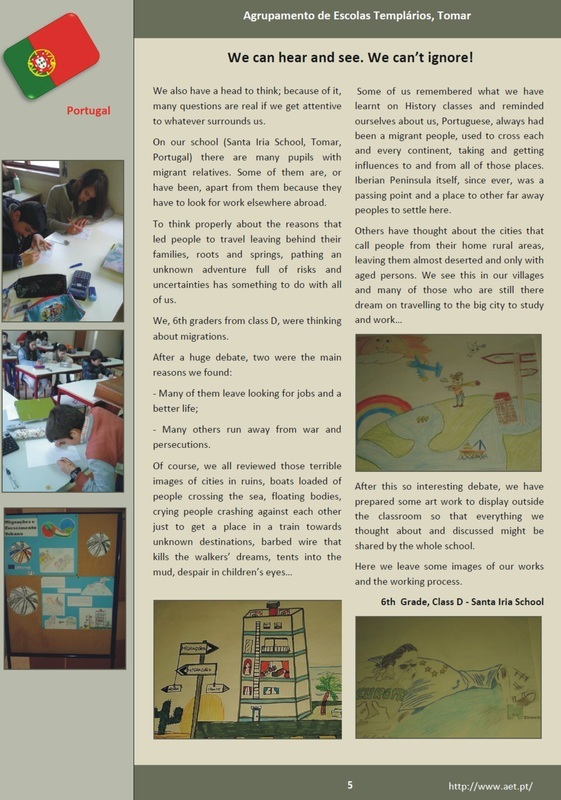 We must not forget that we, portuguse, have a lot of migrants in several cities in Spain, namely Barcelona, our project city partner. The celebration of the patron of our school, Prince Henry the Navigator, was held on the 8th october. 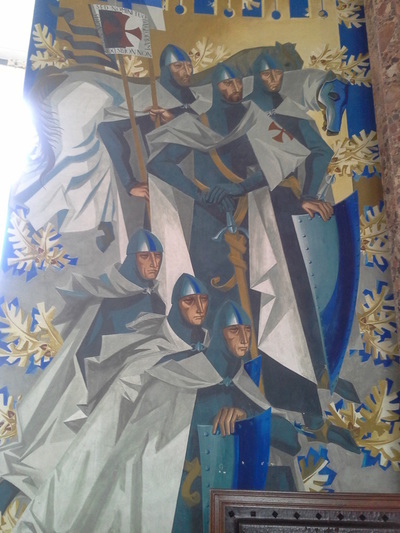 He live in the late 14th century and early 15th. 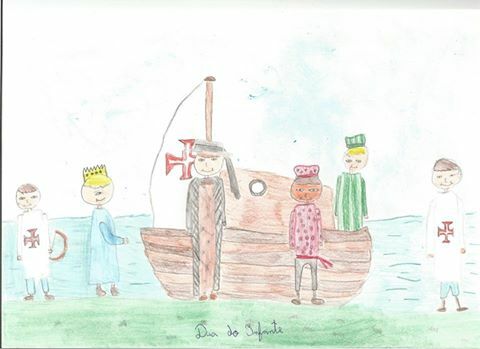 Prince Henry had an important role on the Portuguese Discoveries. 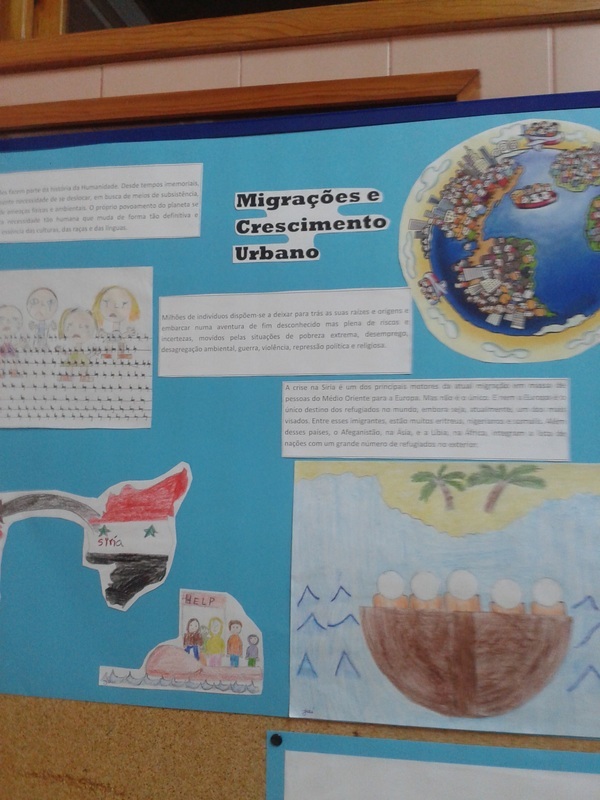 By improving them, the migration to and from the new found lands has a perfect connection to our theme Migration and Urban Growth. 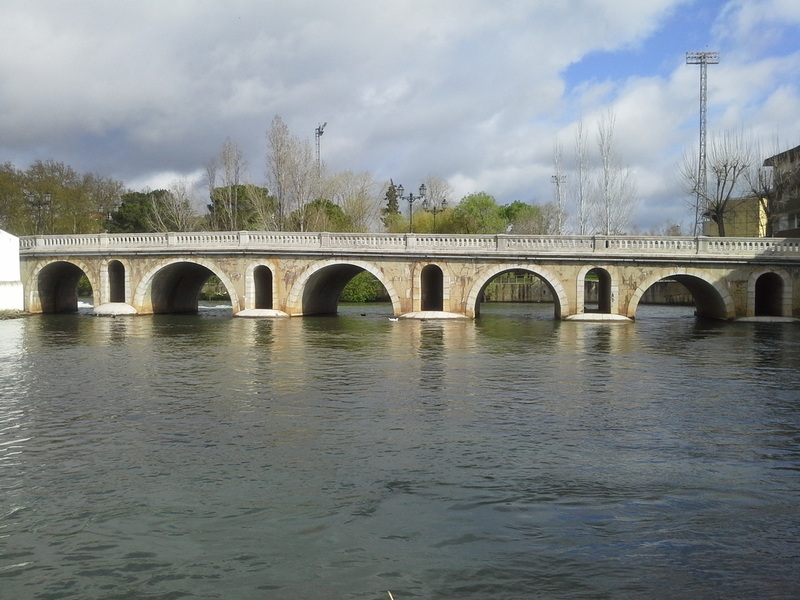 Furthermore, Prince Henry, while living in Tomar, he also had an important role on the creation of good living conditions for the jewish people. 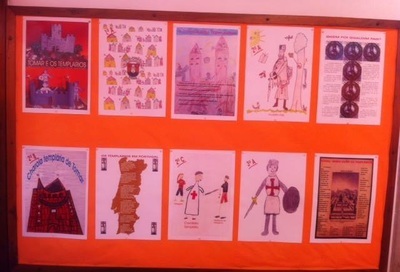 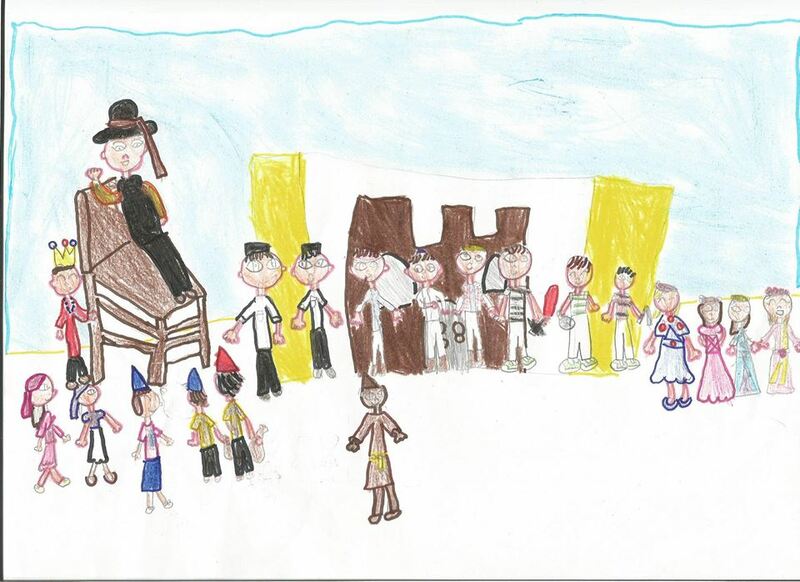 For the celebration, pupils from class 7 and 8 dramatized parts of the life of Henry the Navigator. 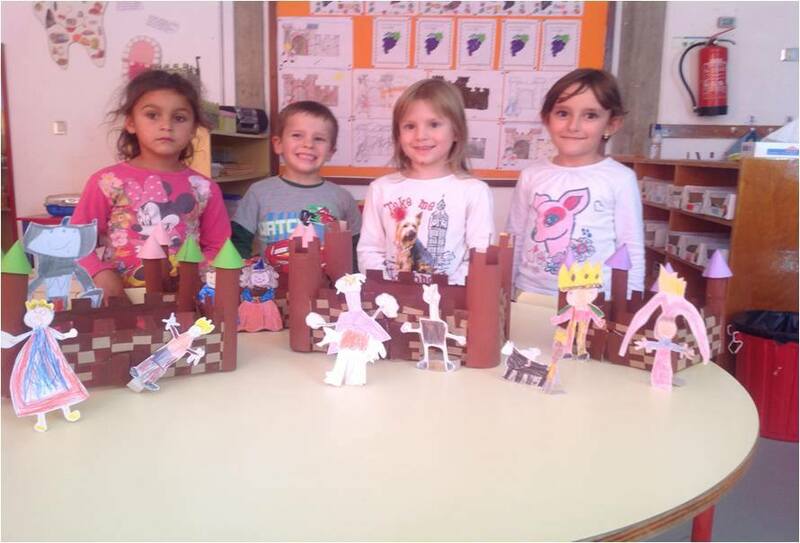 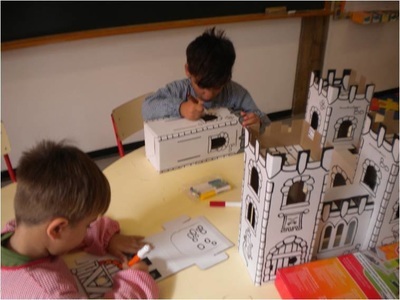 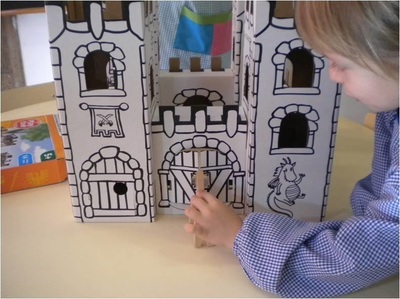 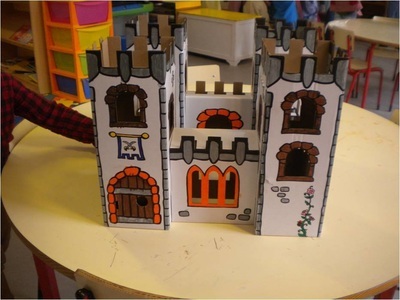 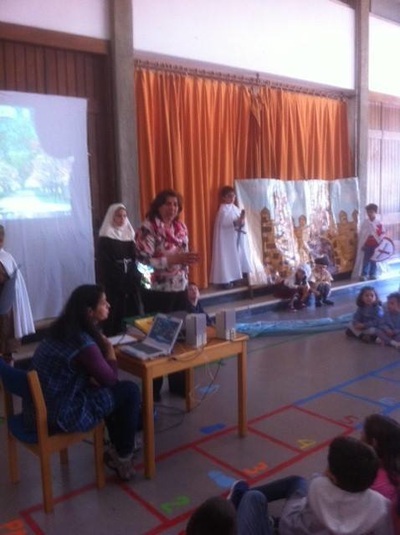 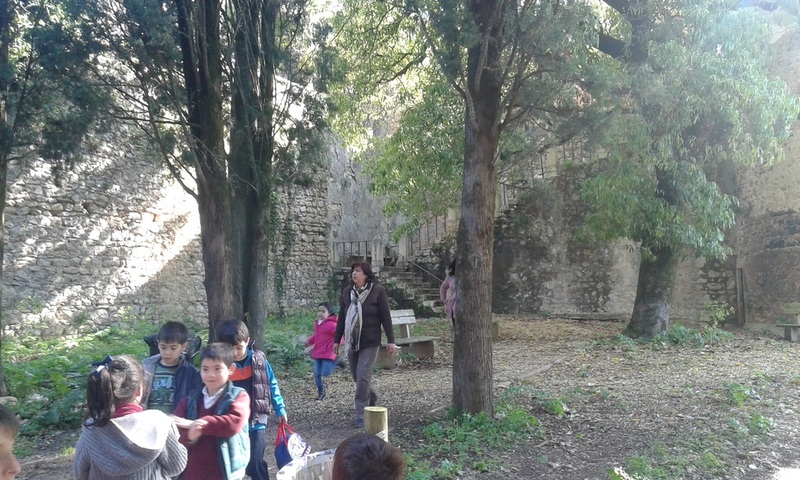 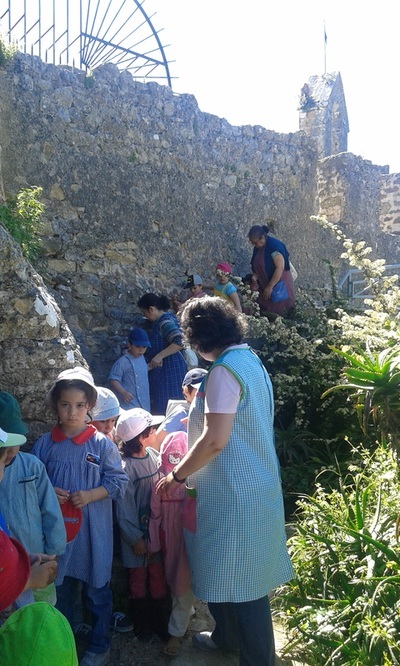 Templários Kindergarden pupils celebrated our national day of the Castles under the theme Migrations and Urban development because castles have been an important contribution to the development of cities and countries across the centuries. 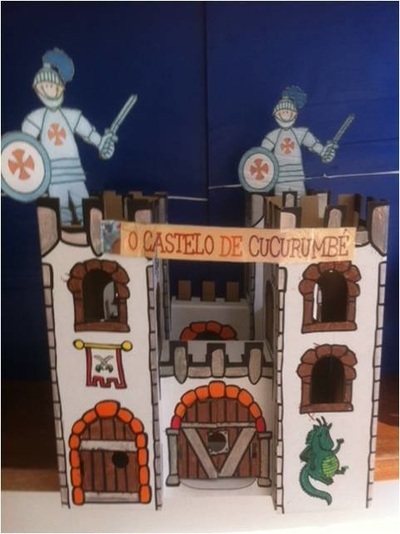 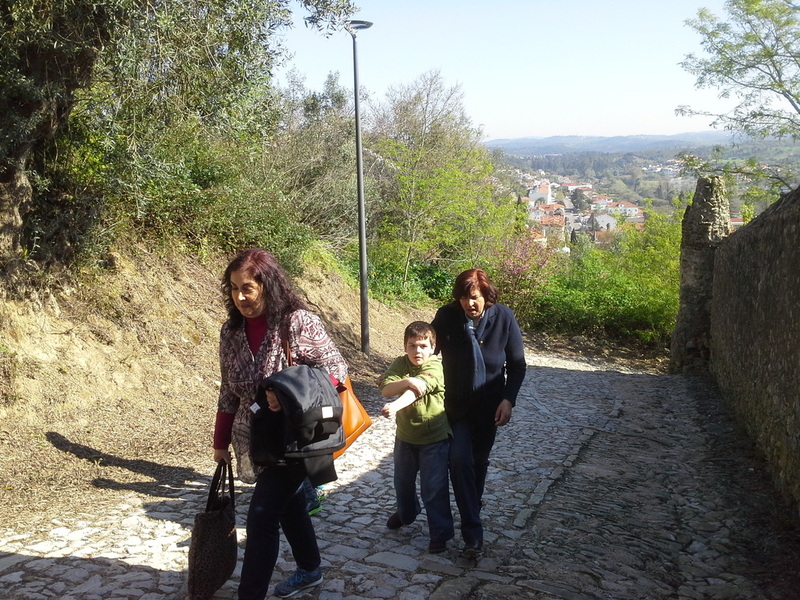 Furthermore, our city has one of the most important castles in Portugal because it was the main castle of the Templar Knights Order in Portugal. 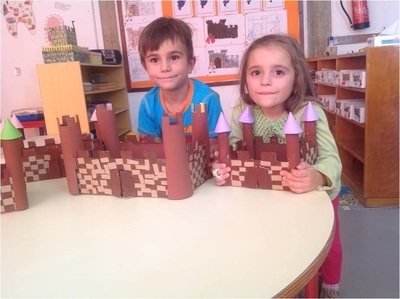 Pupils have listen to stories and built castles for the classroom as well for presenting, in the near future, the teachers from other countries of our partnership that would visit us in November. The same celebration happend in another kindergarden, not far from the city, belonging to our group of schools. 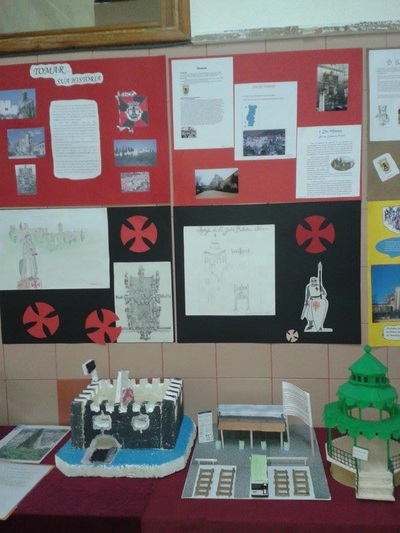 This time the idea was producing a powerpoint presentation about portuguese castles. 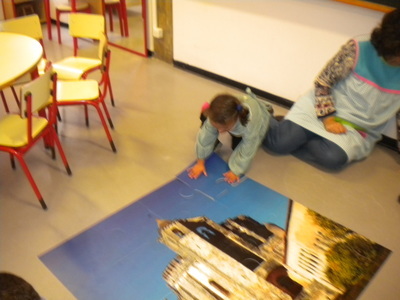 Templário kindergarden pupils, under the theme Migration, as above explained, played with a giant puzzle of our main tower of the castle. 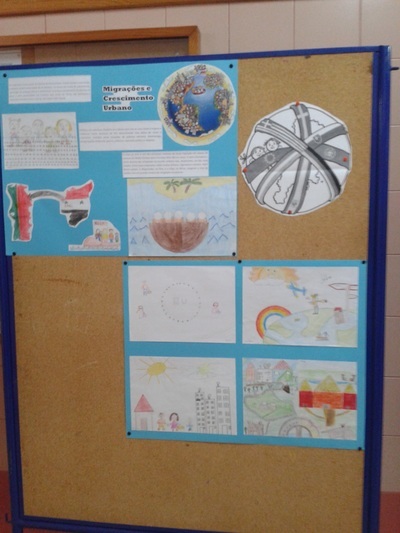 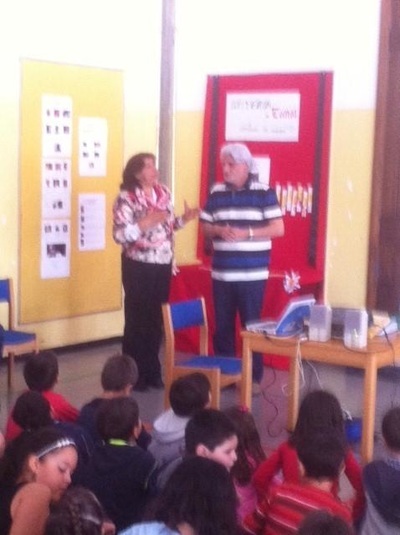 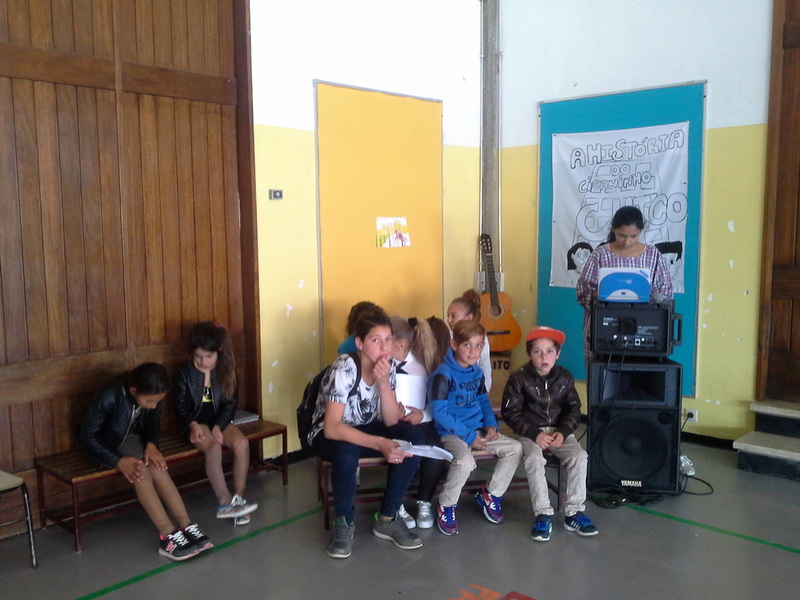 The project took place all along the 3rd school term (end of mars till early june) with the supervision of Mrs. Helena Cochado, one of Templários school teacher. 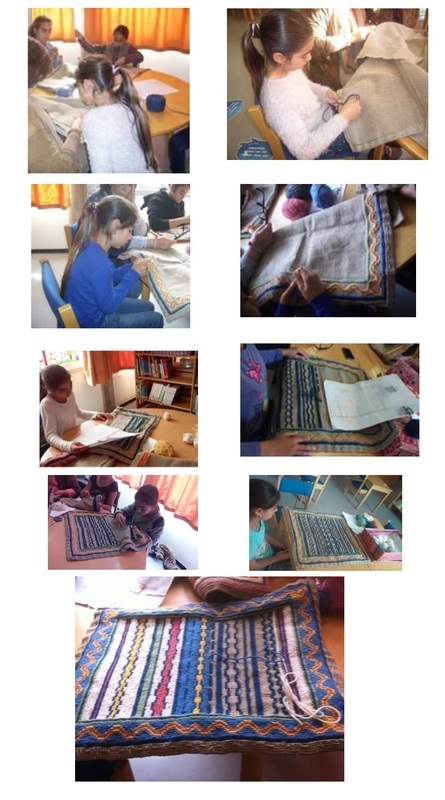 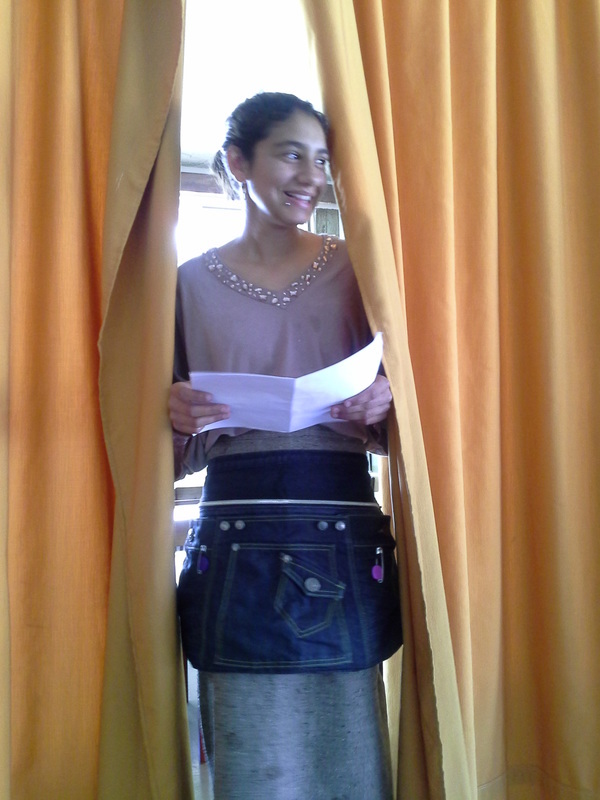 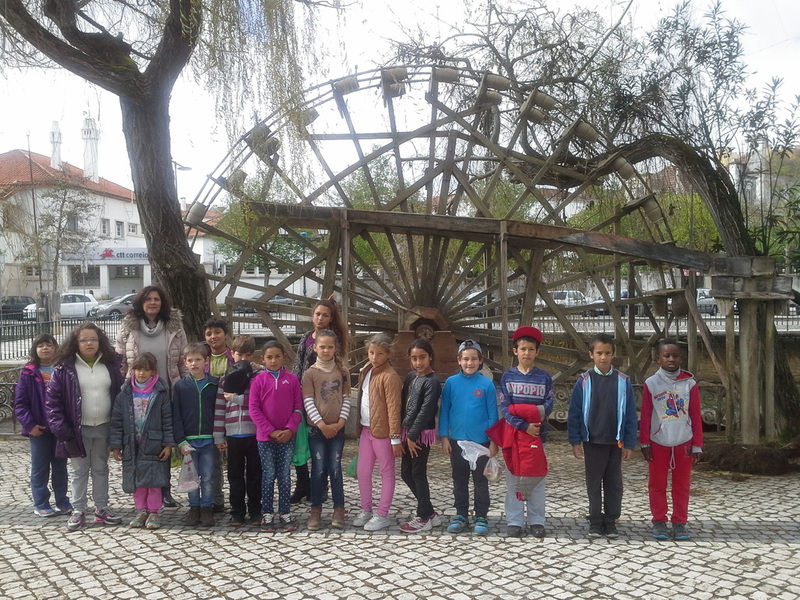 The main goals were to create a new atraction to school and the possibility of creating their own portuguese traditional work, melting this way the popular portuguese culture with the traditional cultural of gipsy travellers. All the materials were funded by Erasmus budget. This activity fits perfectly on the MIGRATIOn module of our project, moreover because the gipsy community at our school is increasing.